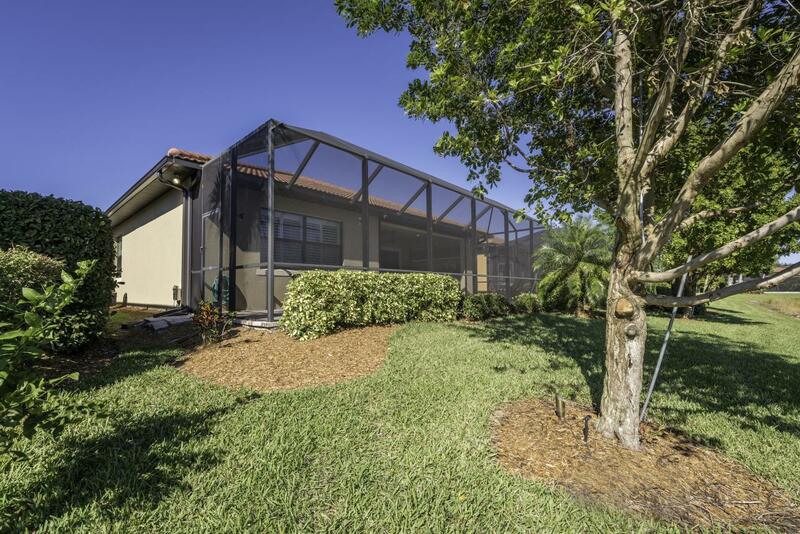 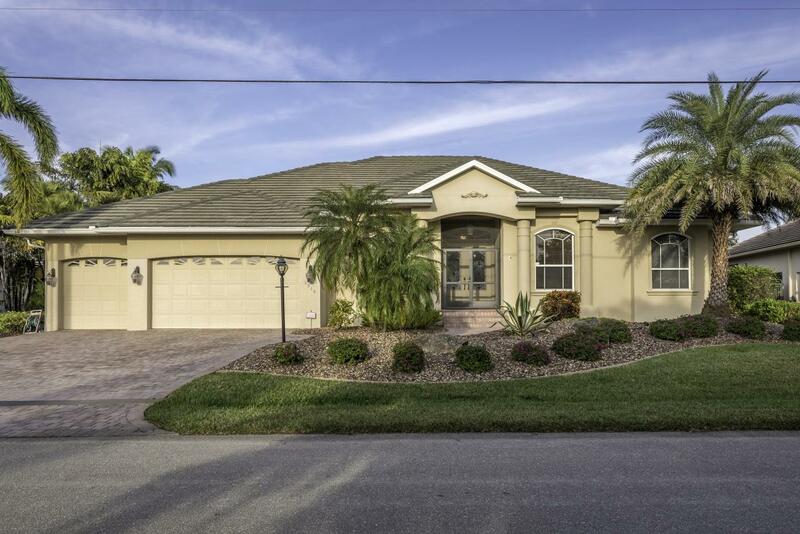 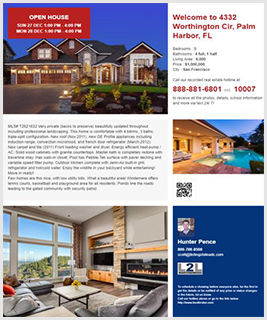 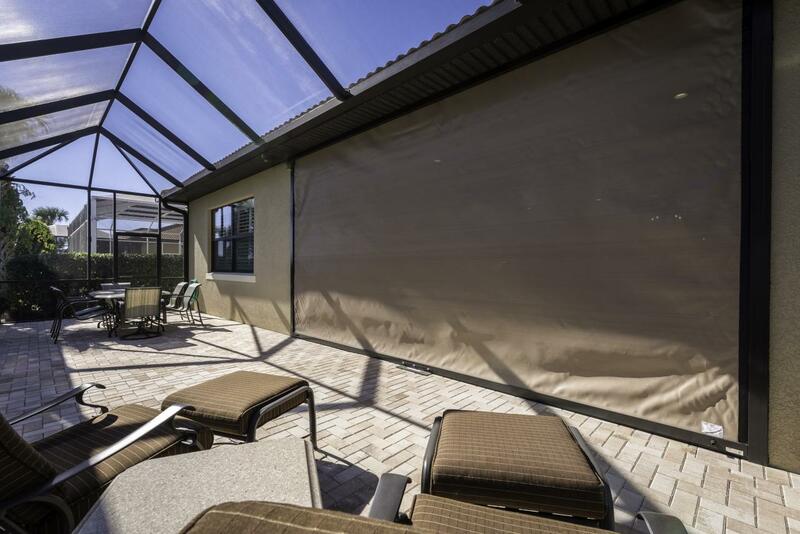 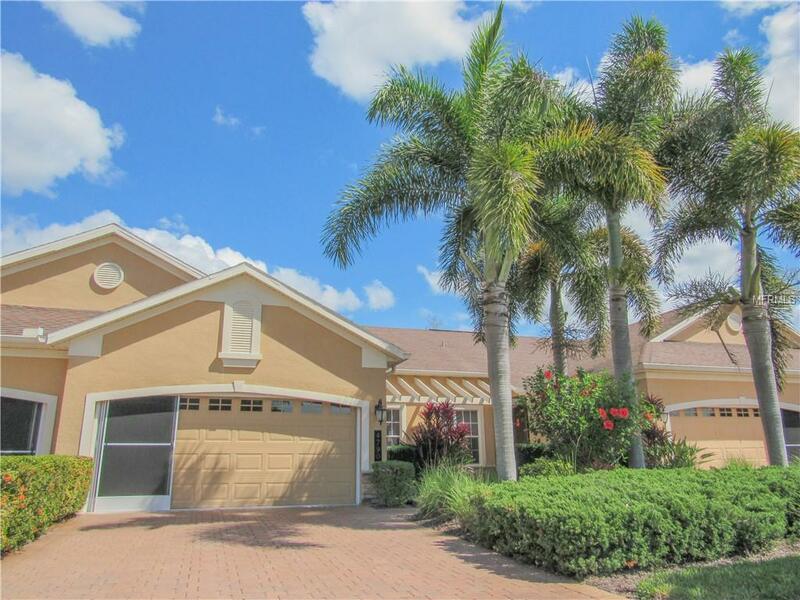 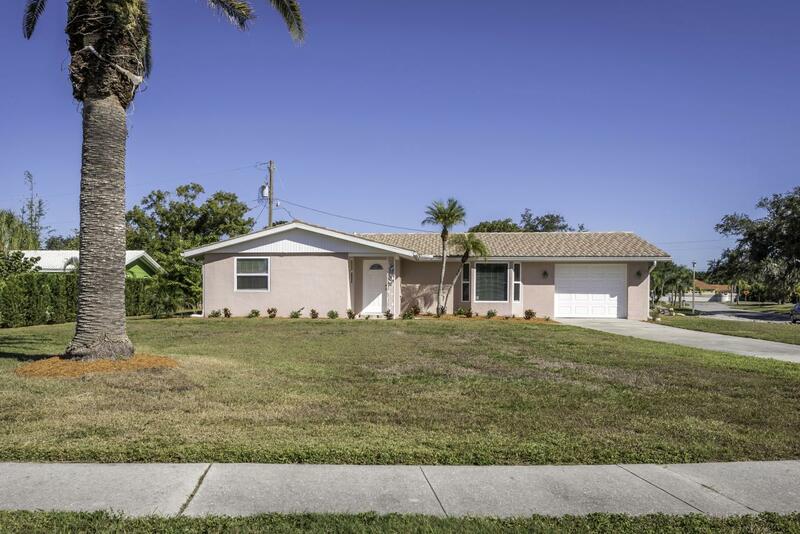 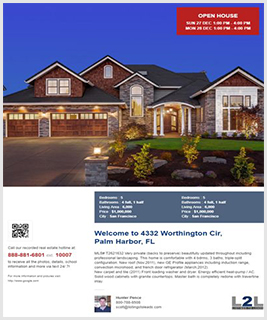 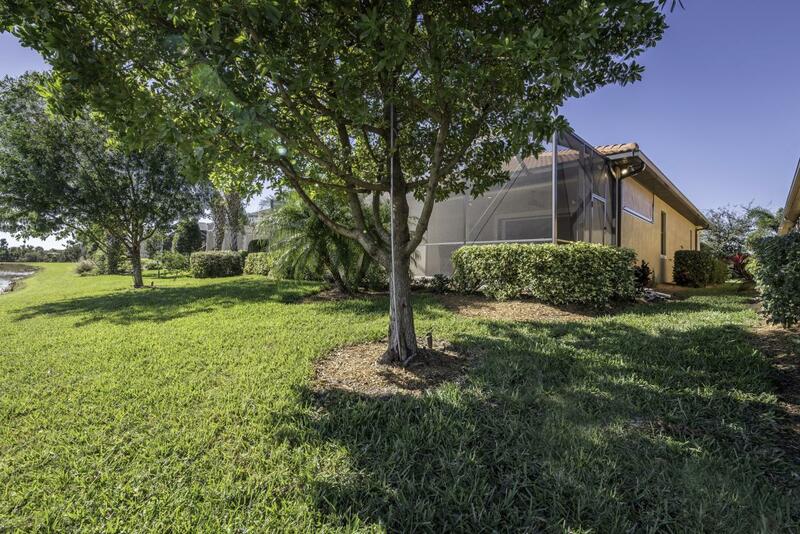 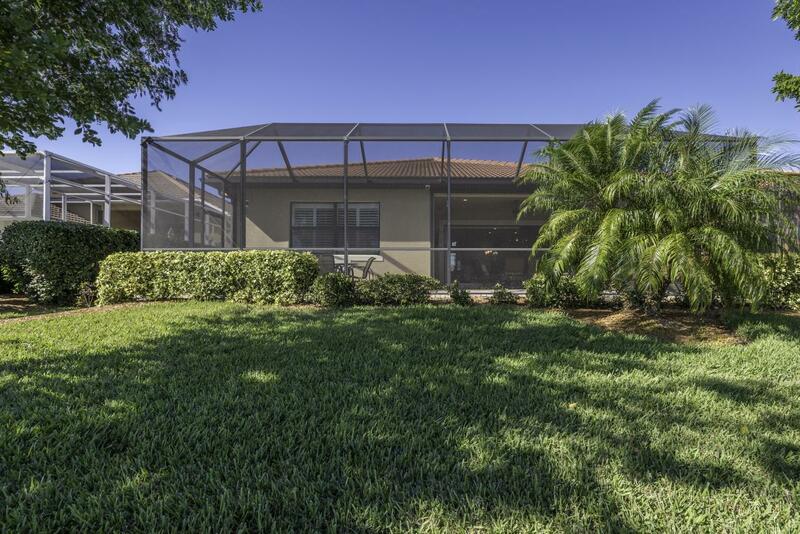 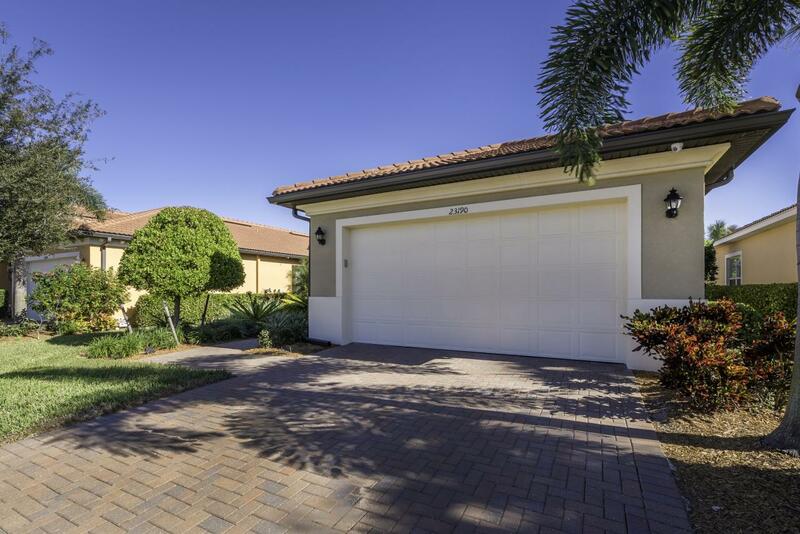 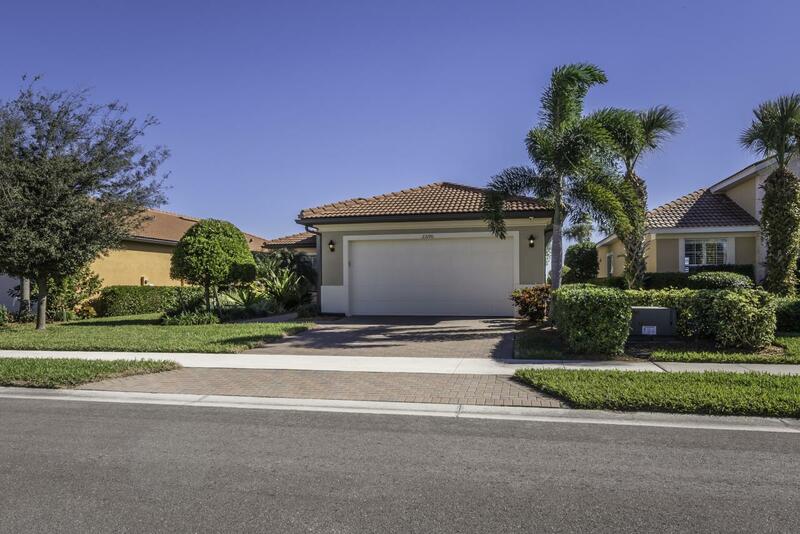 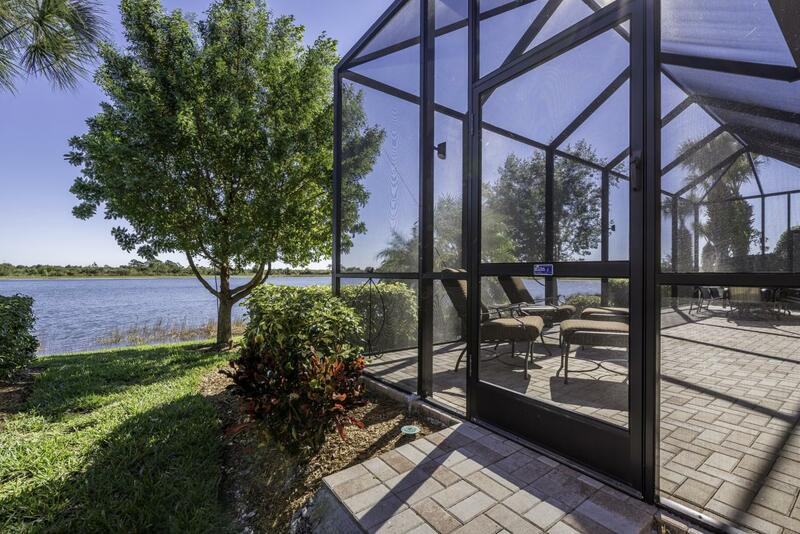 Lakefront Sarasota National True WCI Home with All the Upgrades and More! 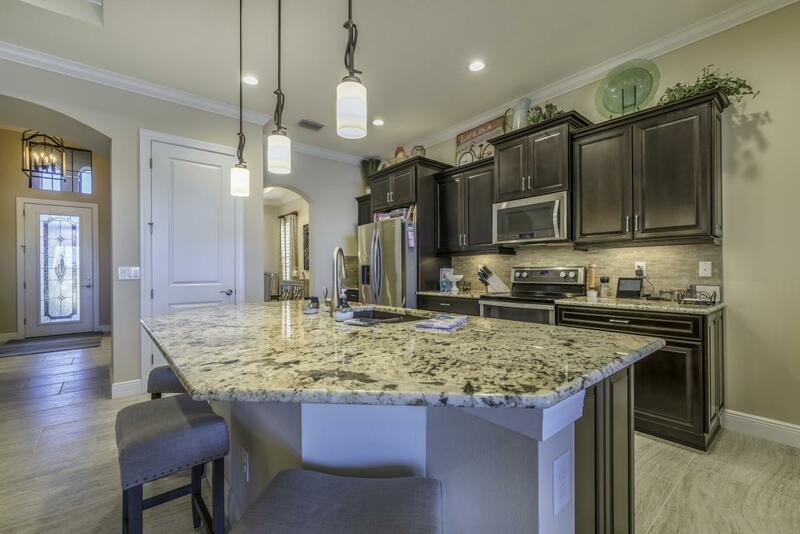 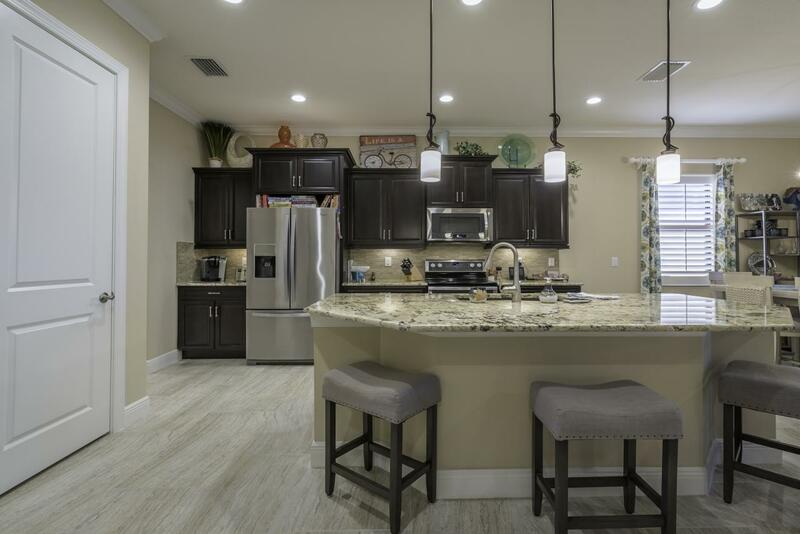 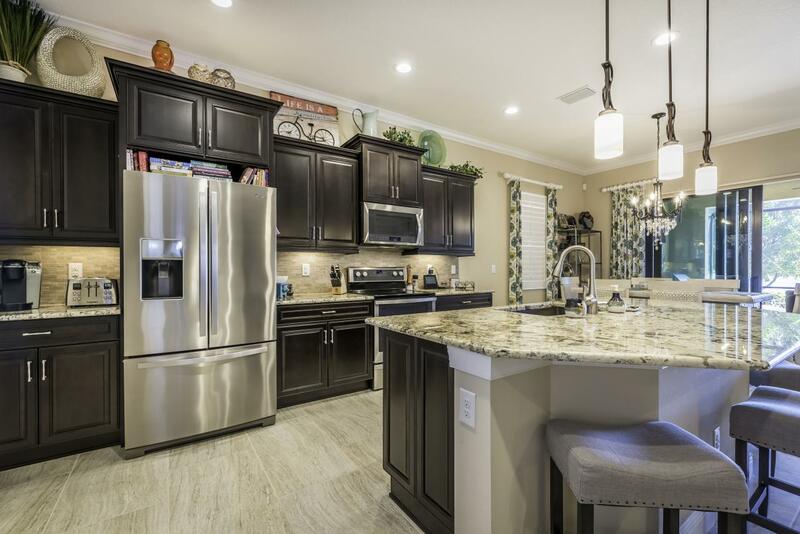 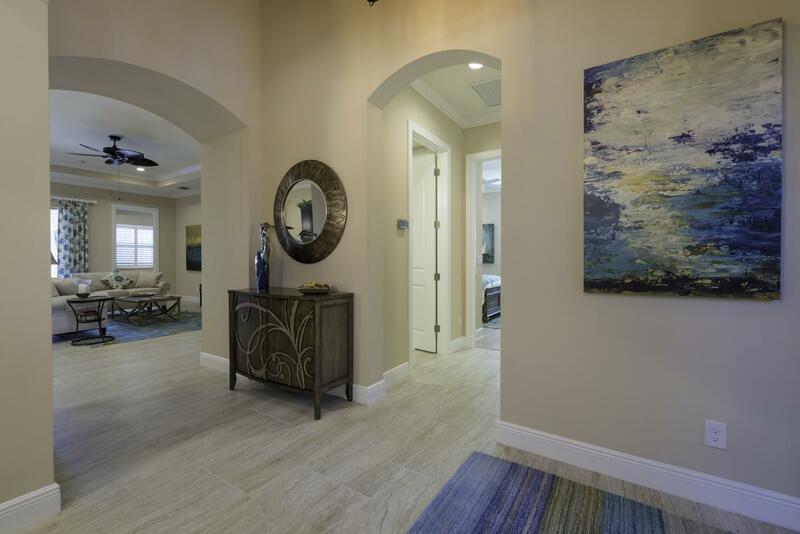 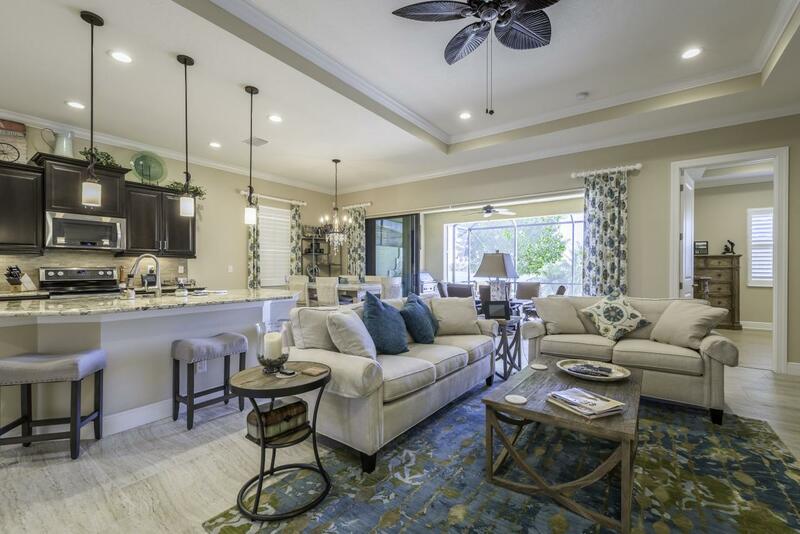 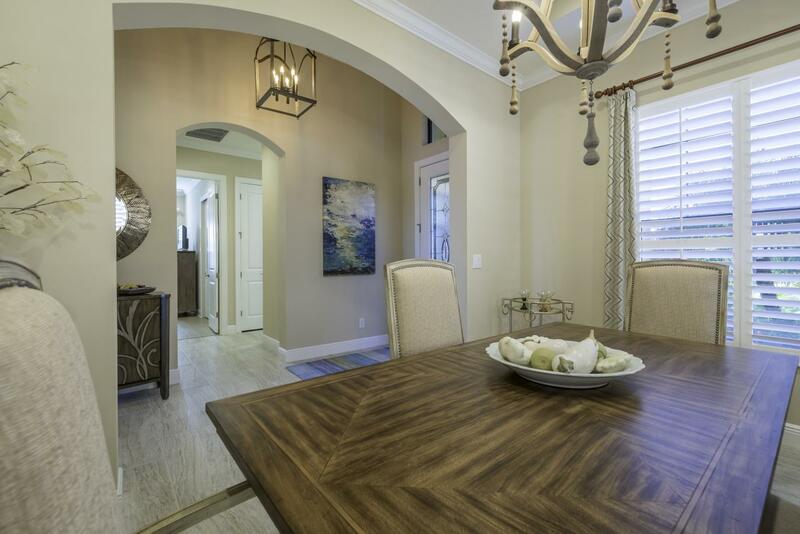 This beautiful WCI (not Lennar) Florencia model is loaded with upgrades and a dynamite view. 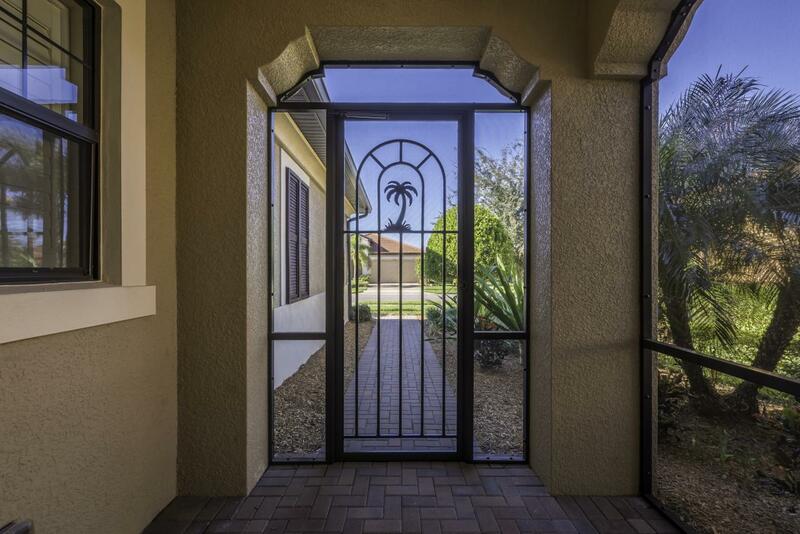 The screened entry welcomes you to the front door keeping those pesky bugs at bay. 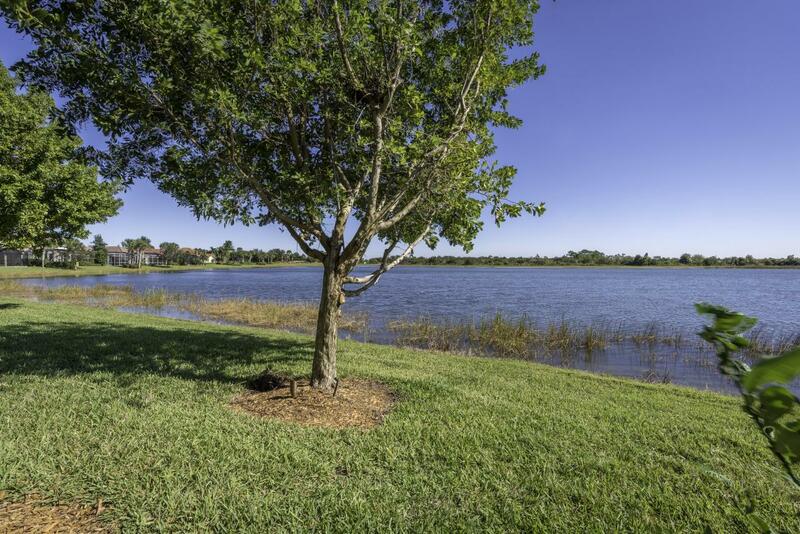 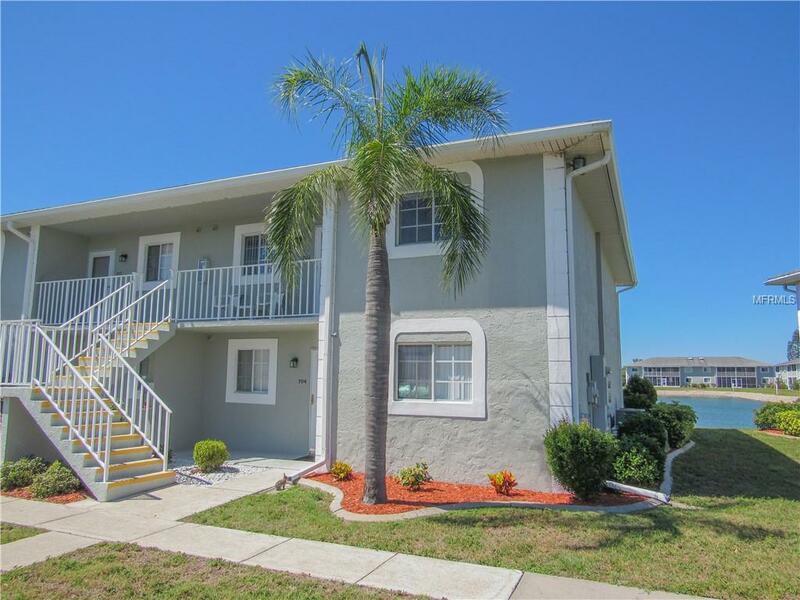 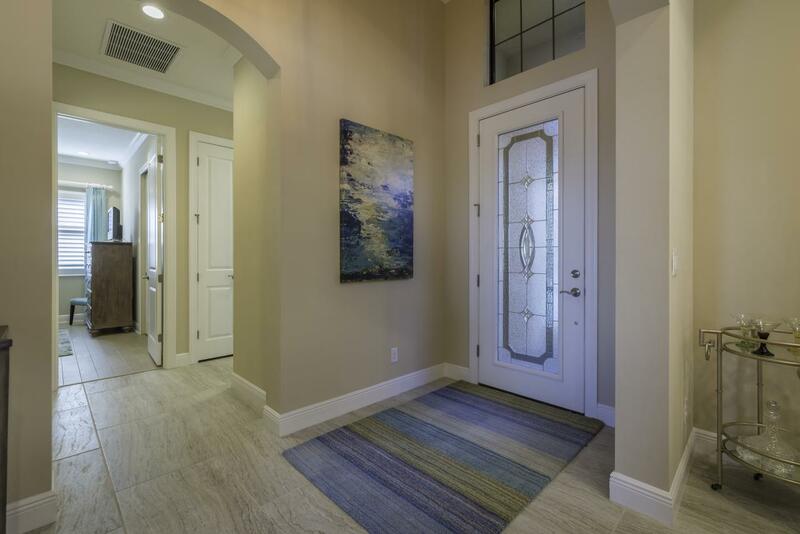 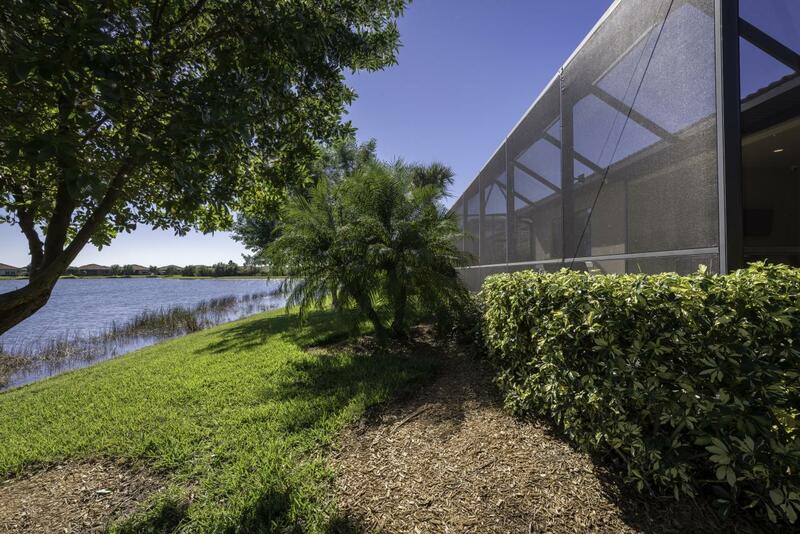 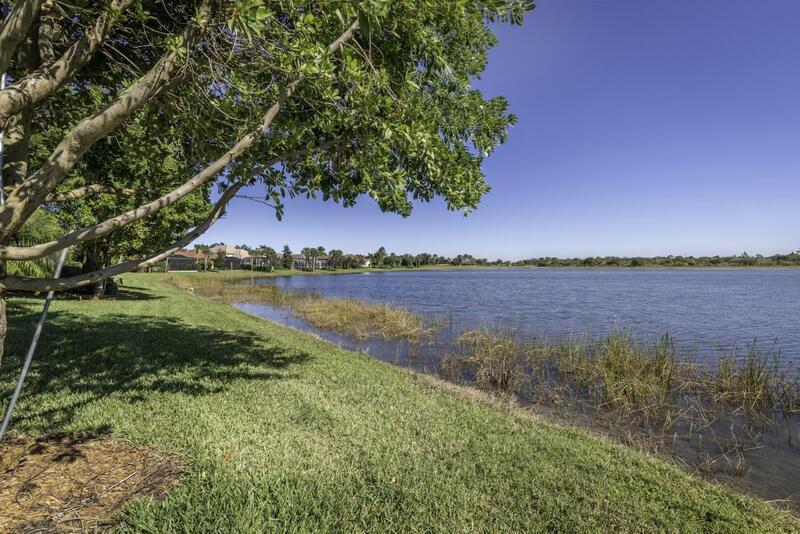 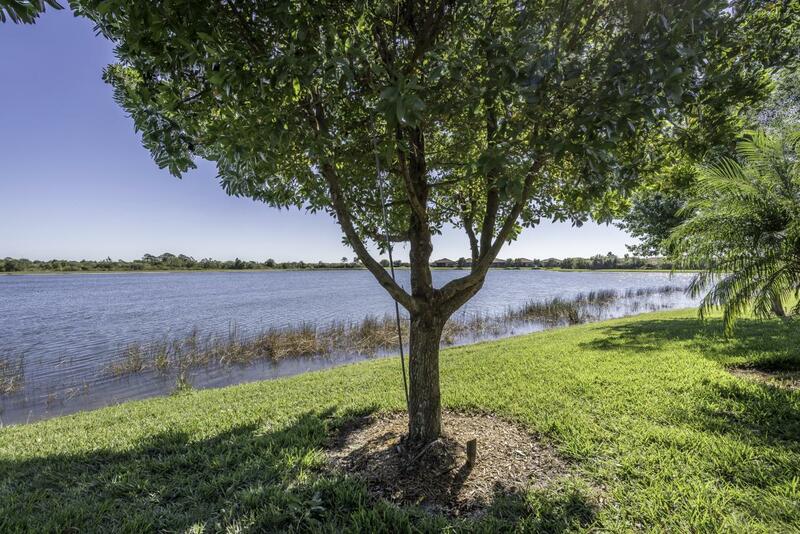 As you enter your new home, you are greeted with a beautiful long lake view with no other homes in sight. 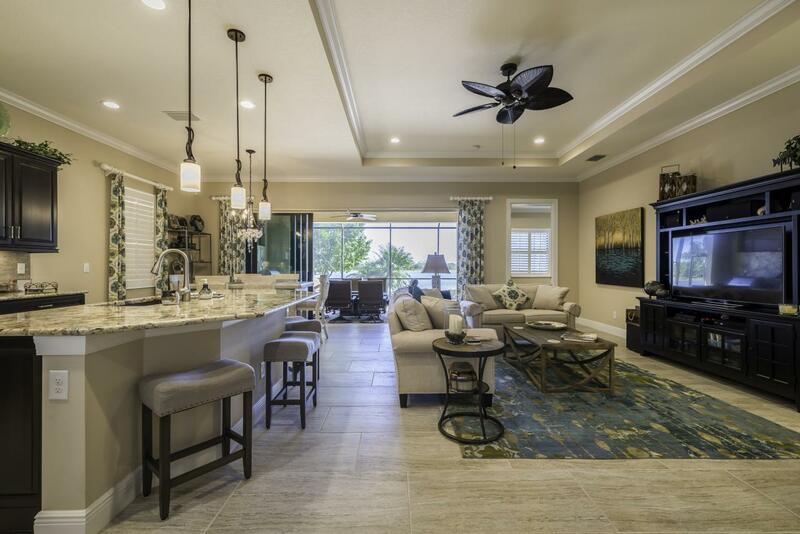 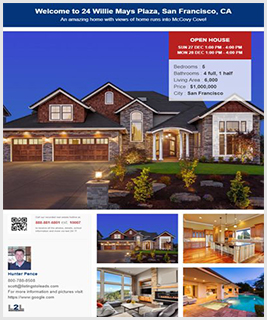 The large open floor plan has plenty of space for family gatherings. 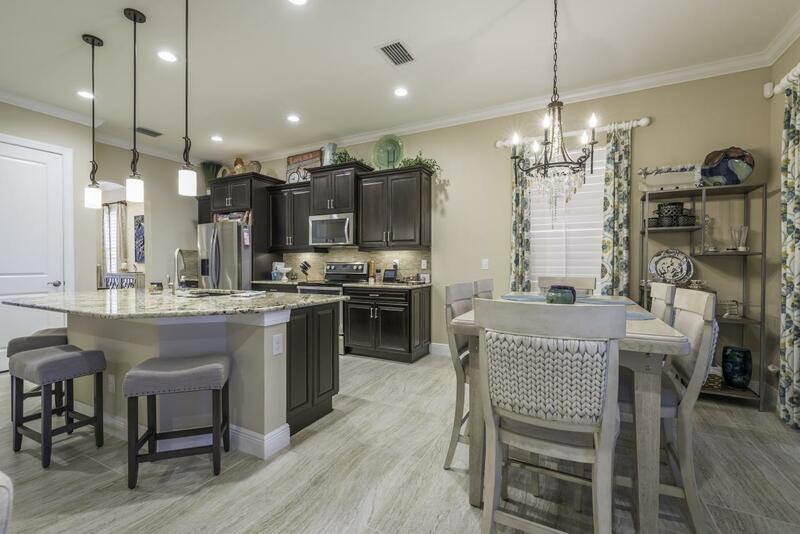 A dream kitchen features real wood cabinets at staggered heights, granite counters, stainless steel appliances, recessed lighting, under cabinet lighting, a large island breakfast bar, and a closet pantry. 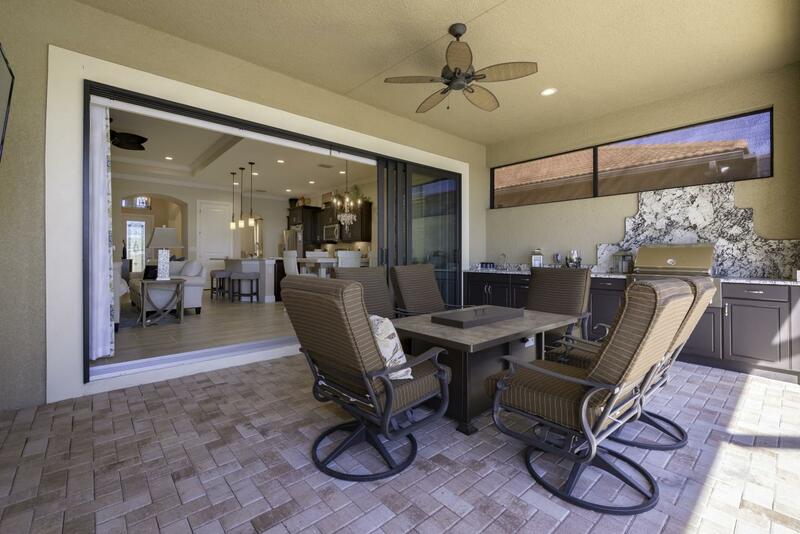 The great room features a coffered ceiling with recessed lighting and sliders to the extended lanai. 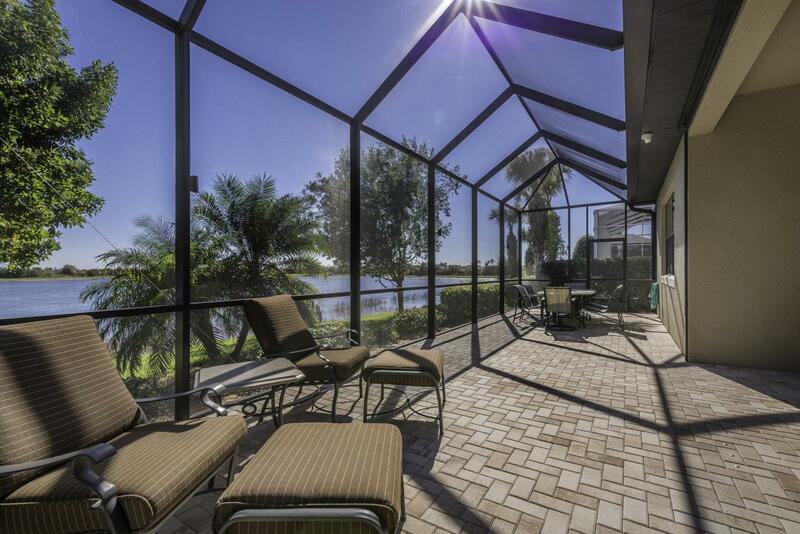 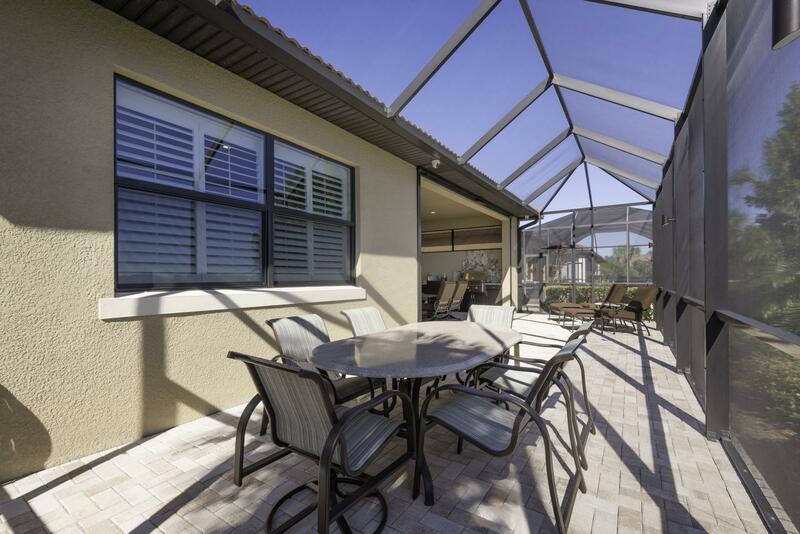 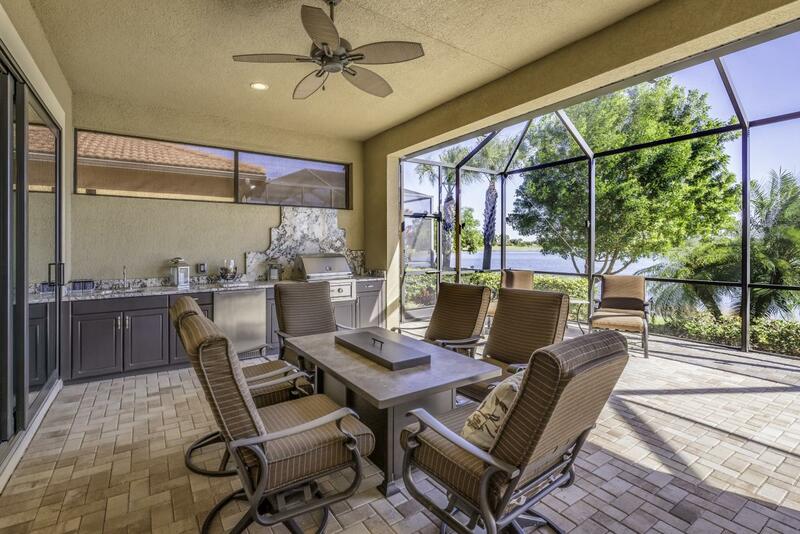 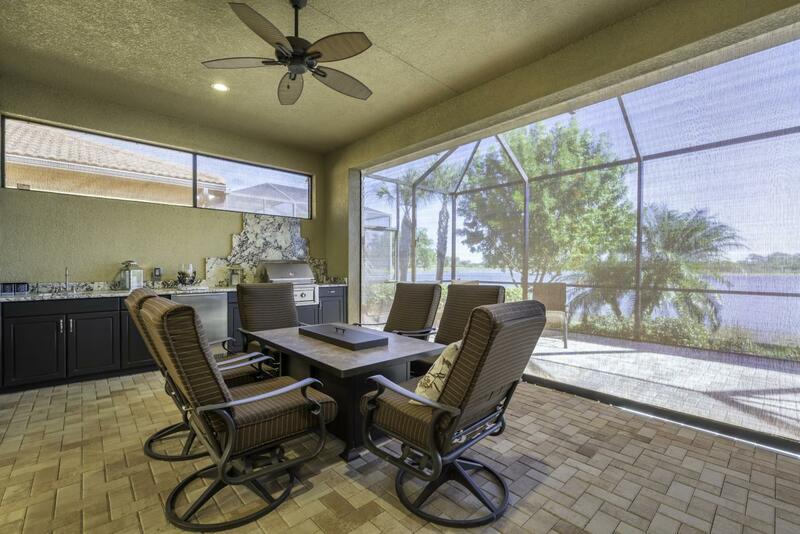 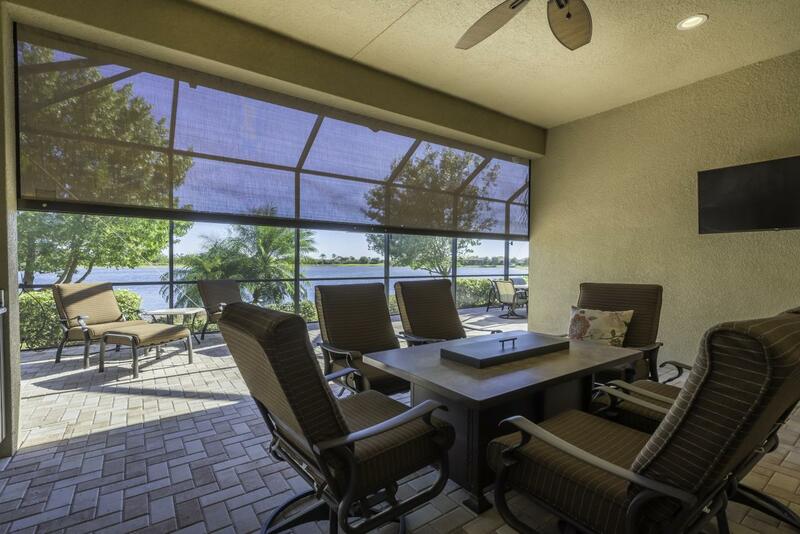 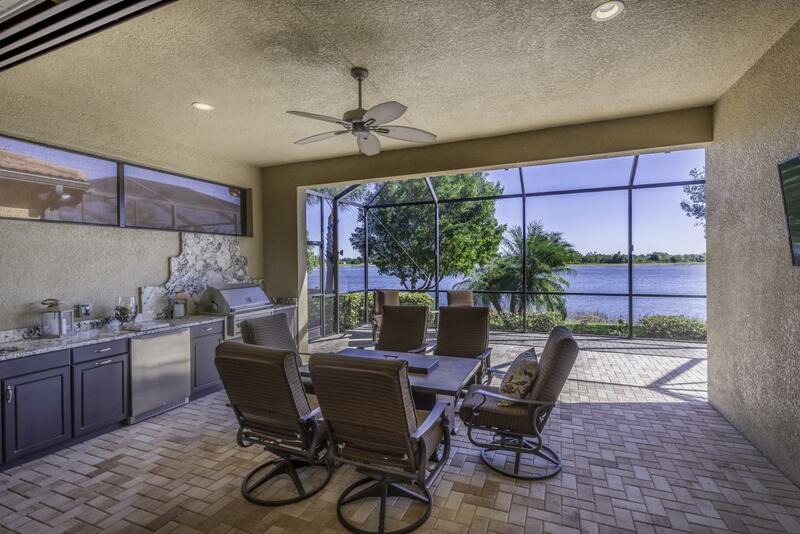 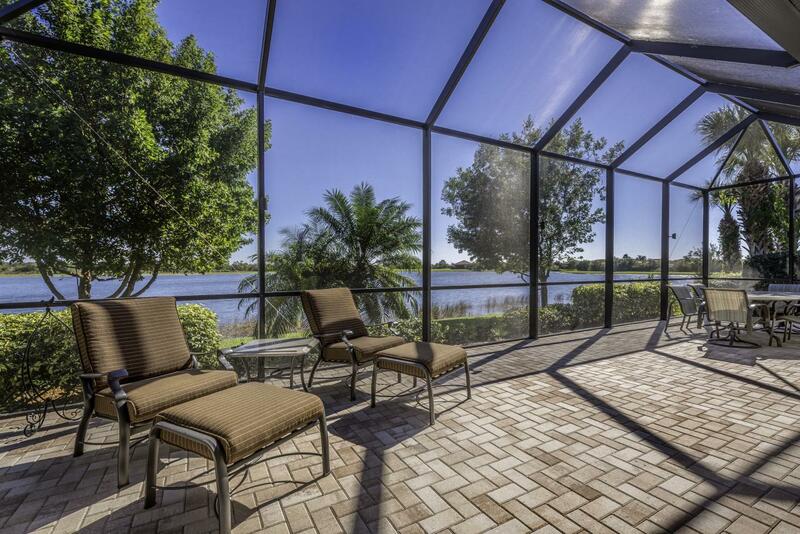 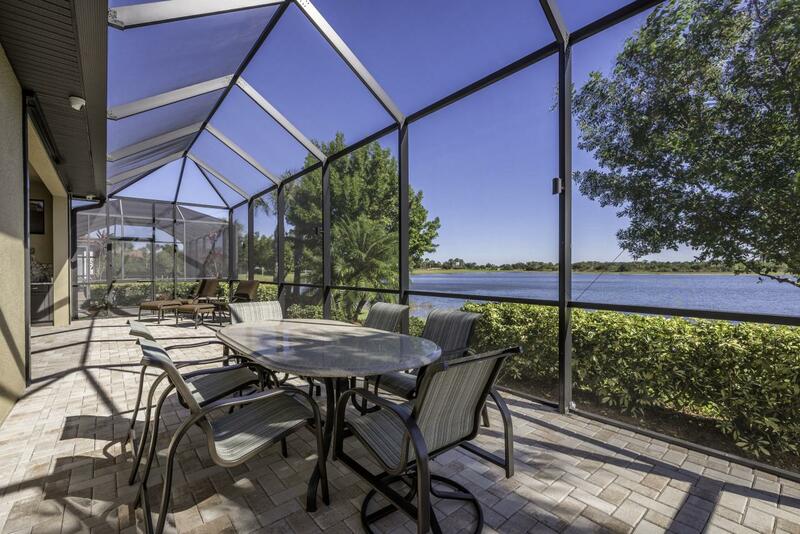 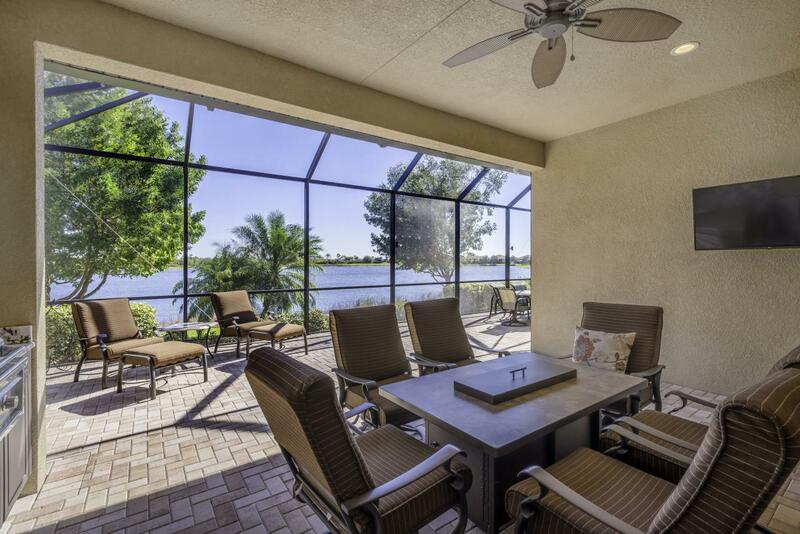 Enjoy your morning cup of coffee from the lanai as you take in the lake view. 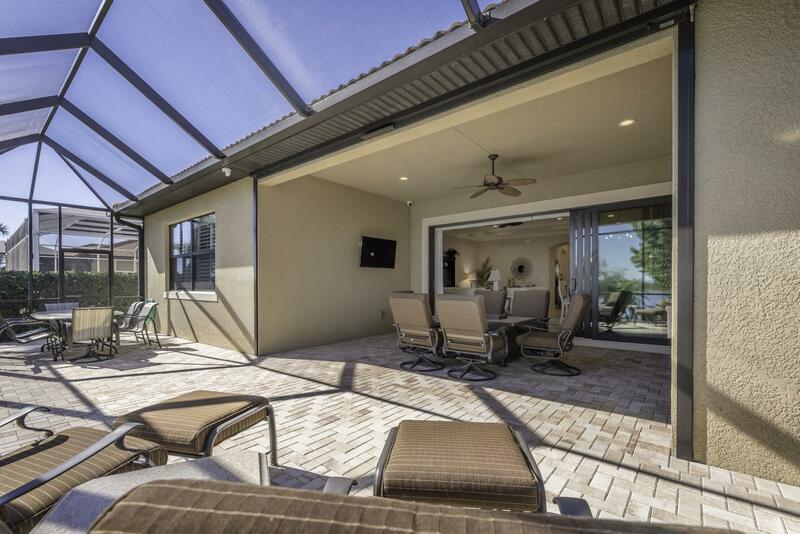 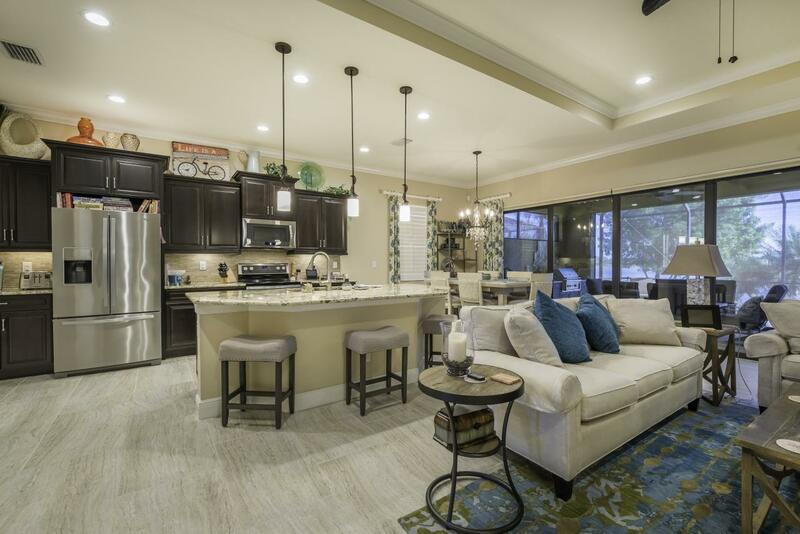 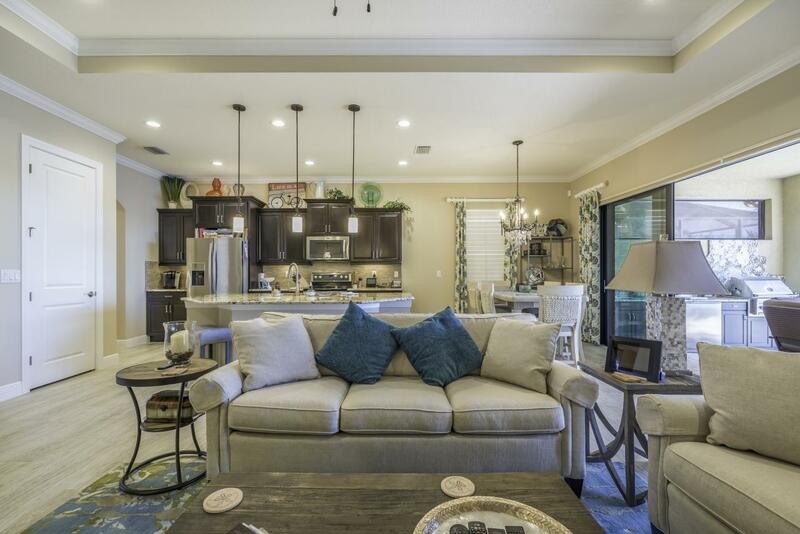 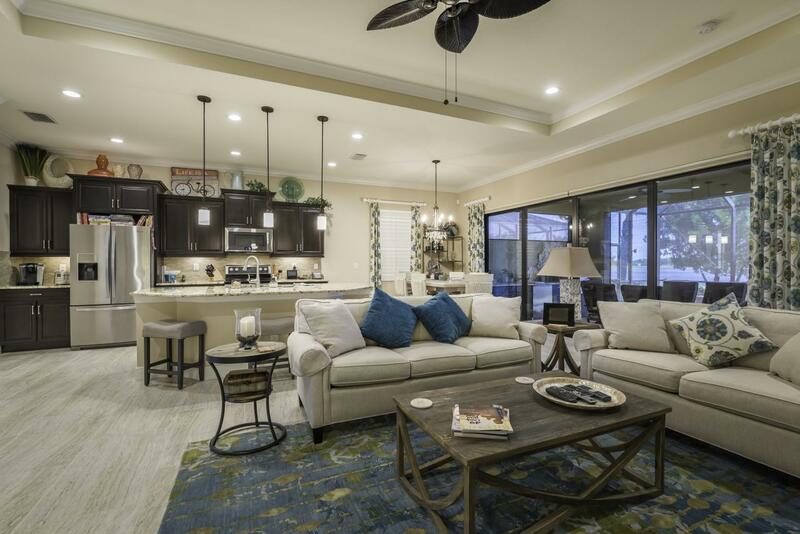 The lanai features an amazing summer kitchen with custom outdoor cabinetry, high-end grill, stainless steel beverage fridge and a wet bar. 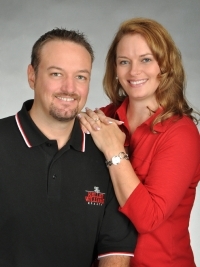 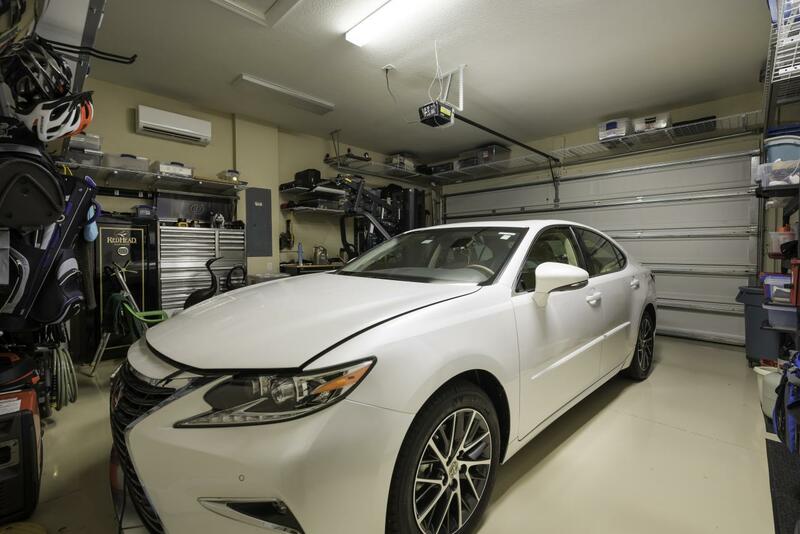 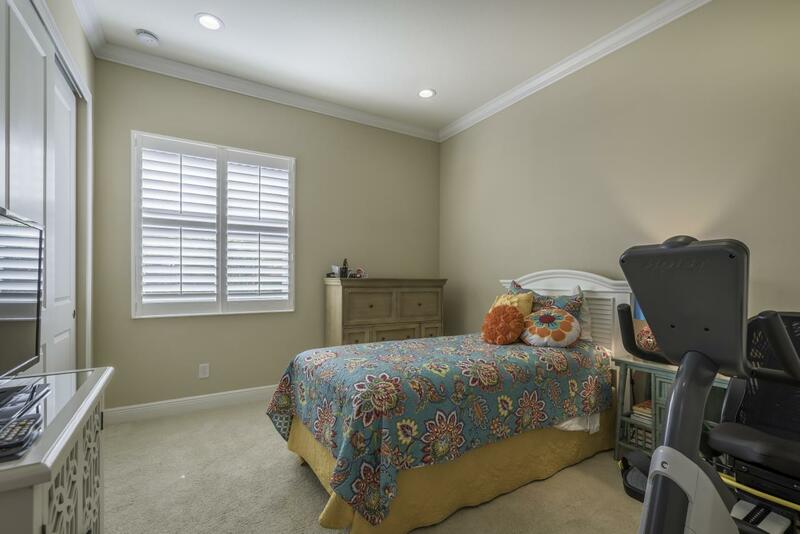 Other features include electric roll-down hurricane screens and custom lighting. 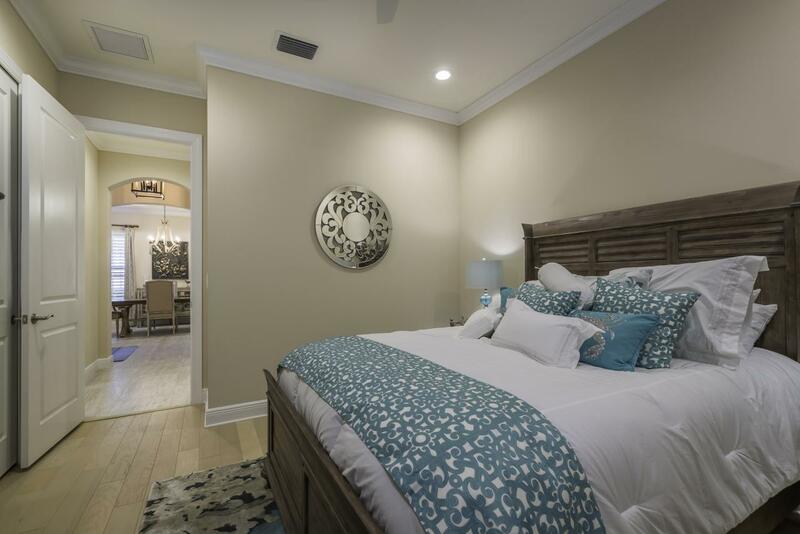 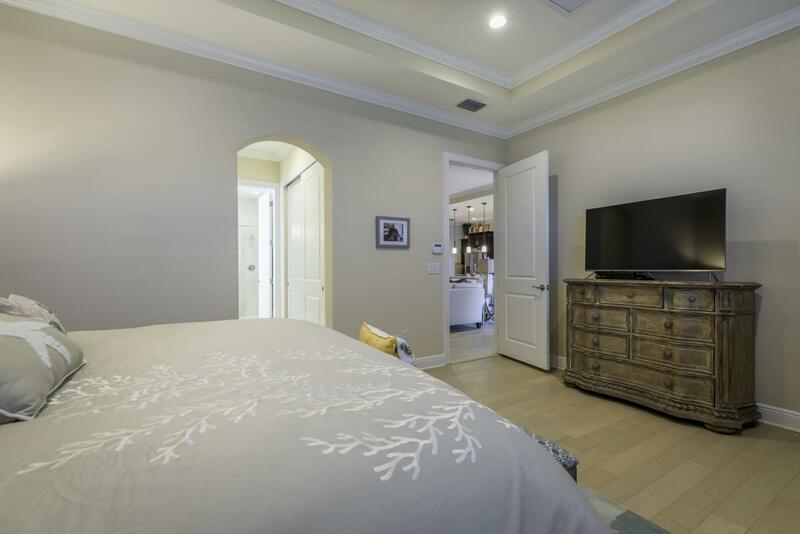 After a long day, retreat to the large master bedroom suite. 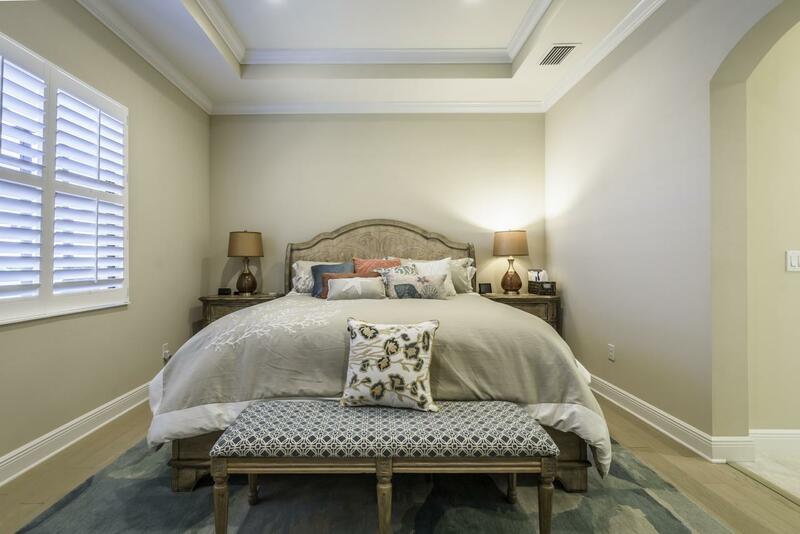 The bedroom features recessed lighting and large windows to frame the lake views. 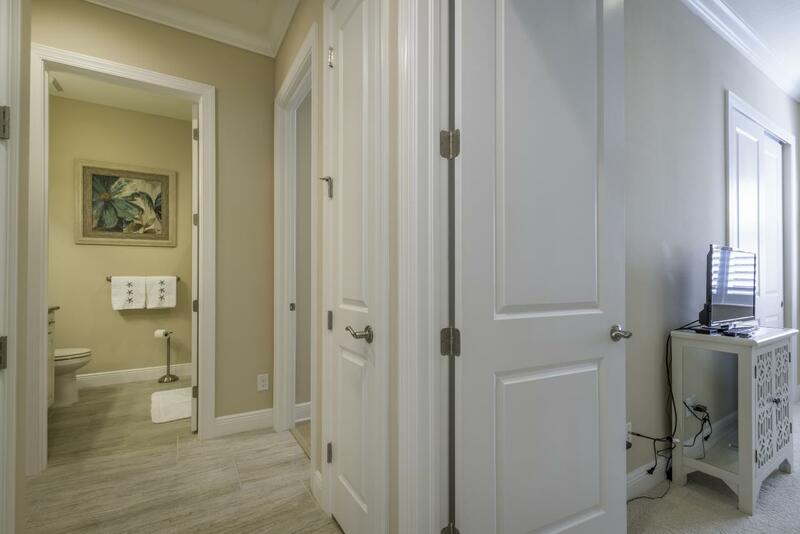 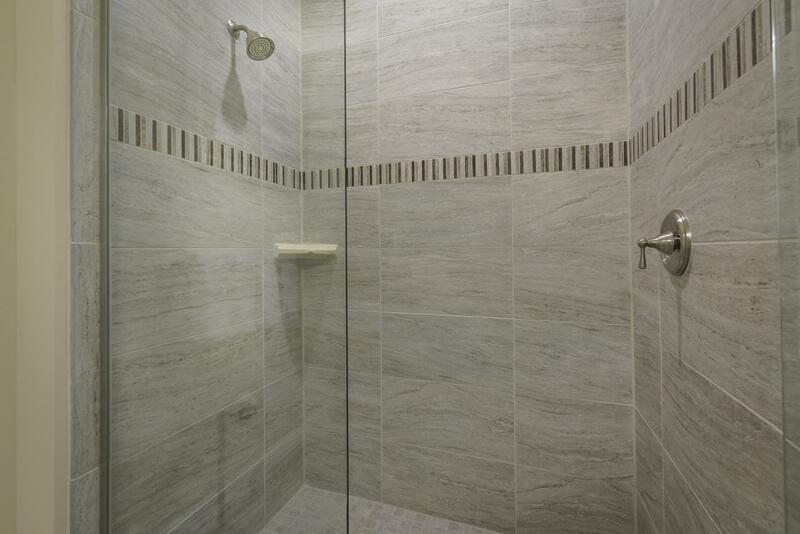 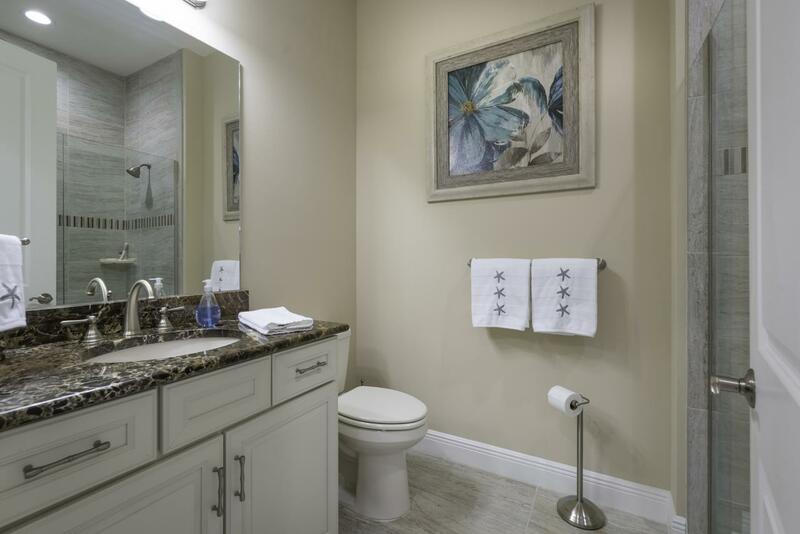 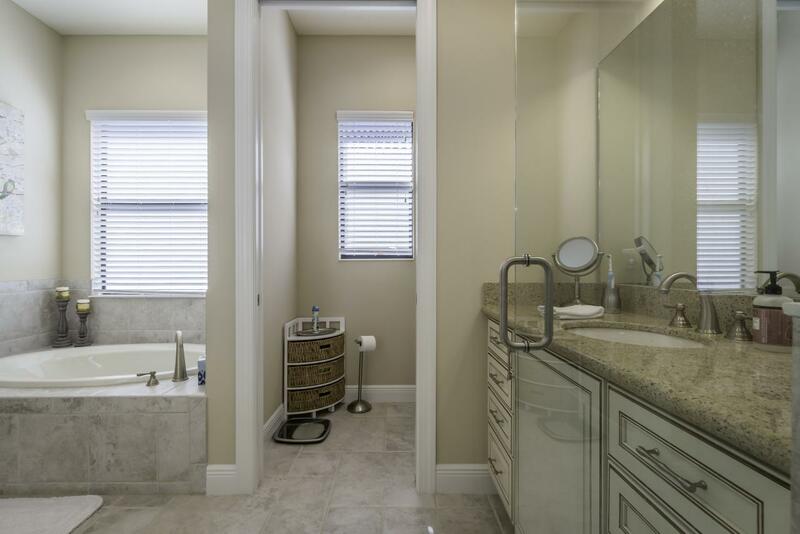 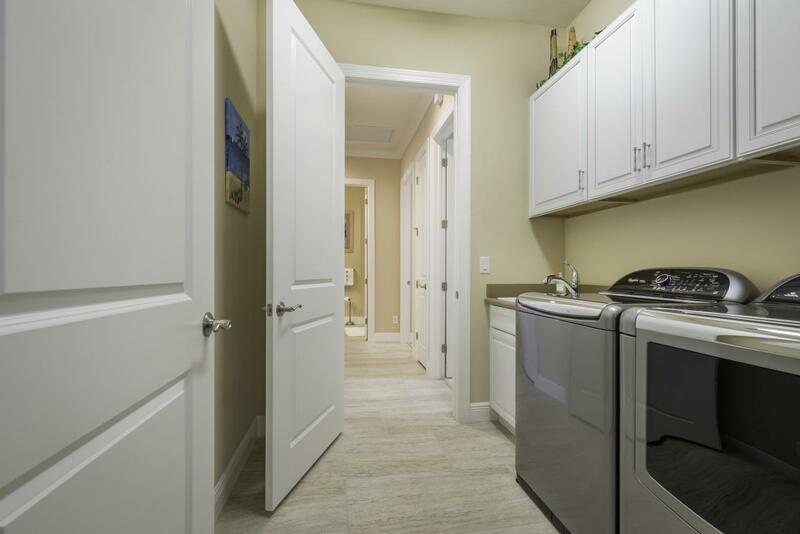 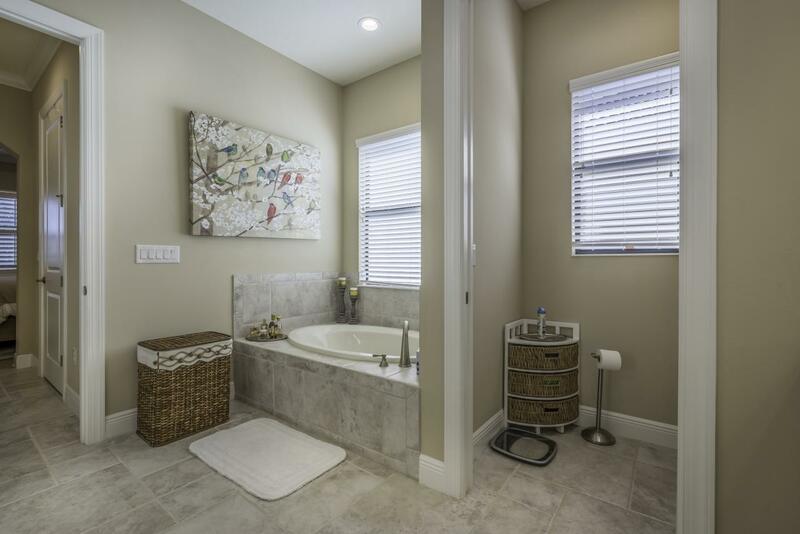 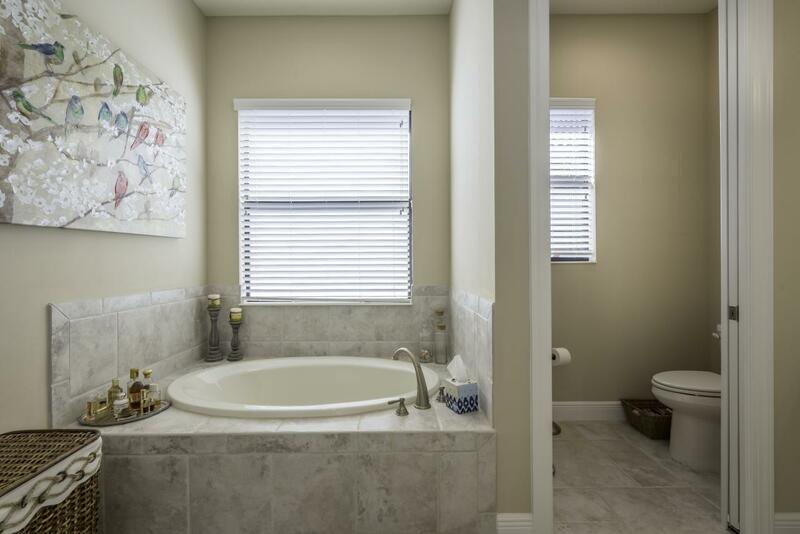 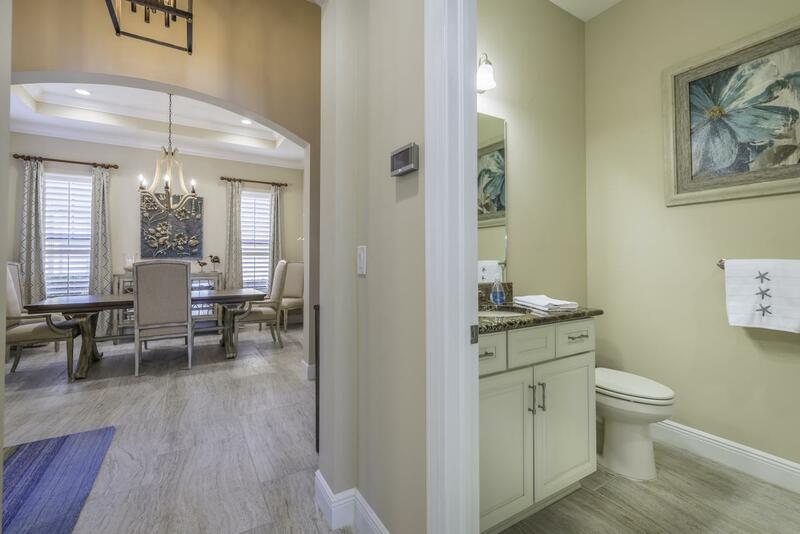 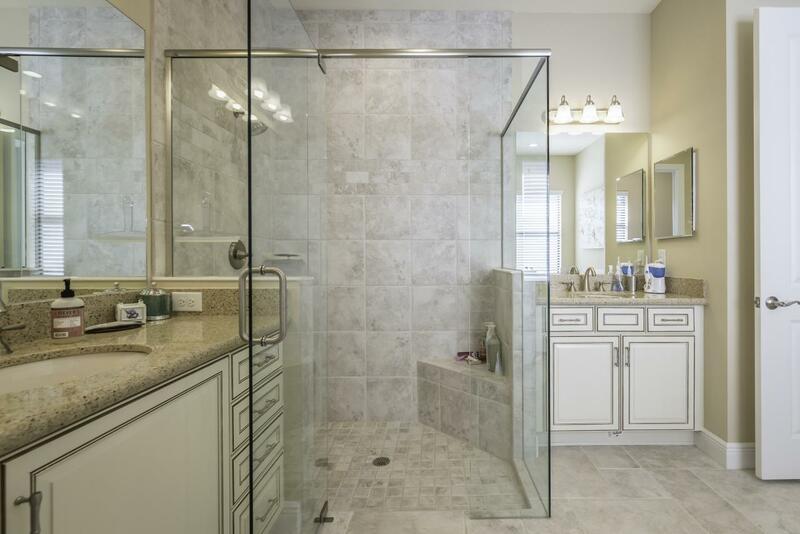 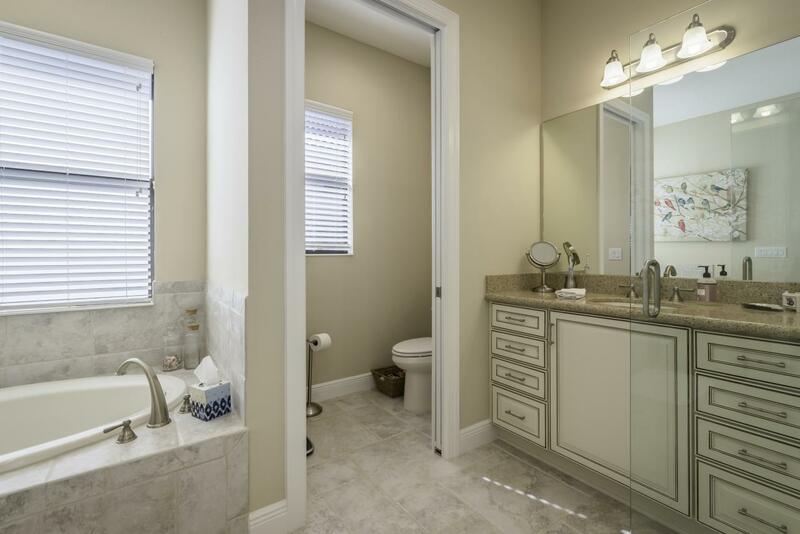 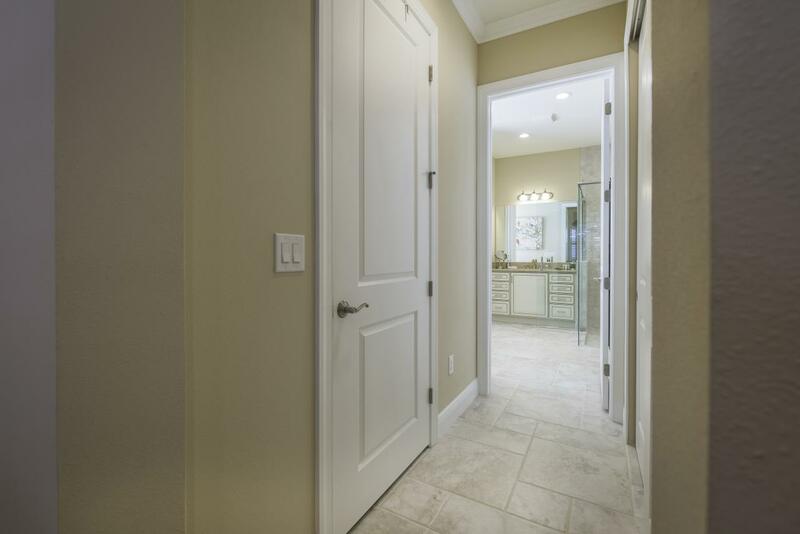 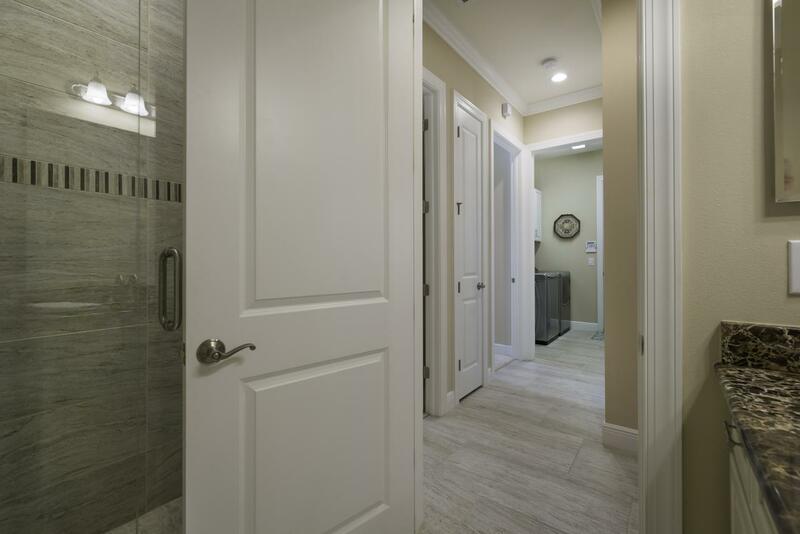 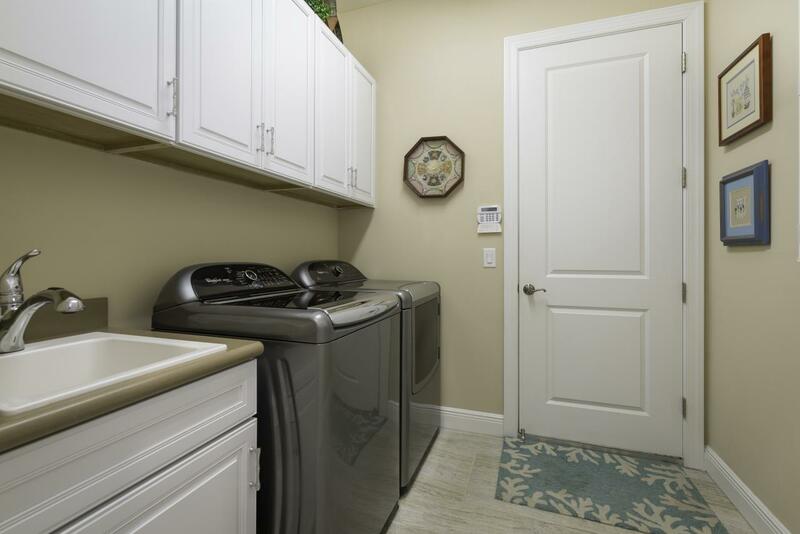 In the master bathroom, you'll find dual sinks, walk-in shower, garden-style soaking tub, water closet, and a large walk-in closet. 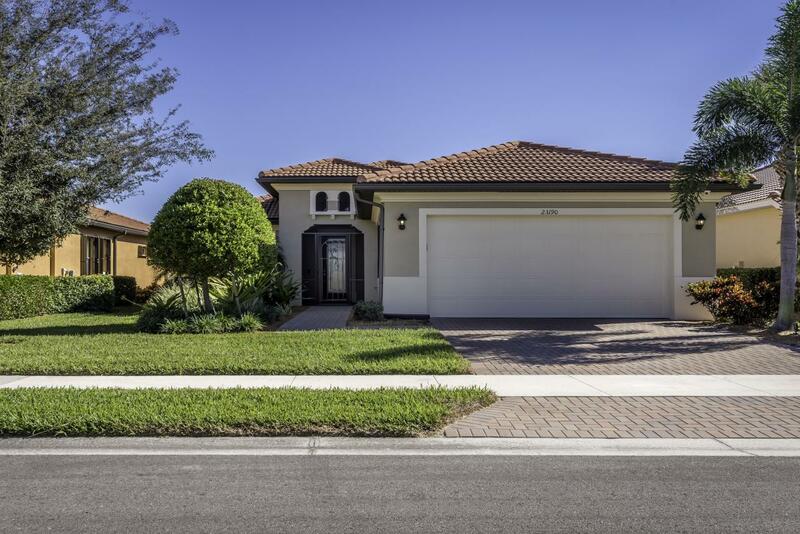 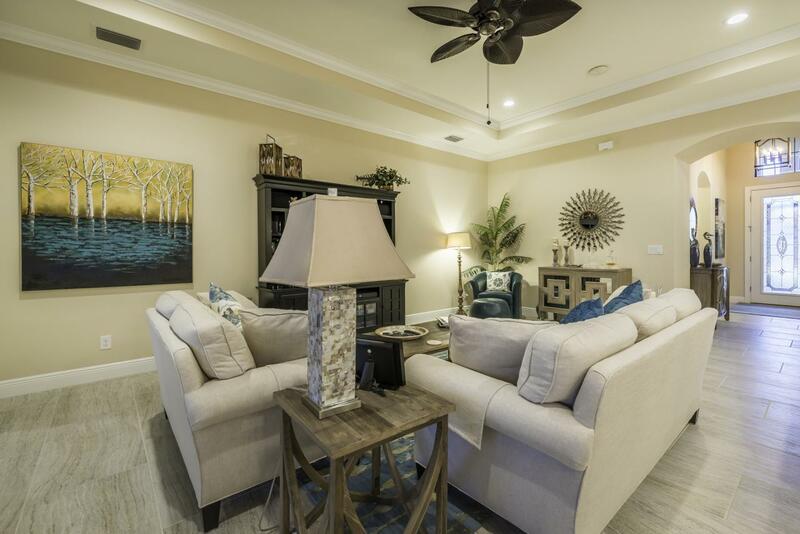 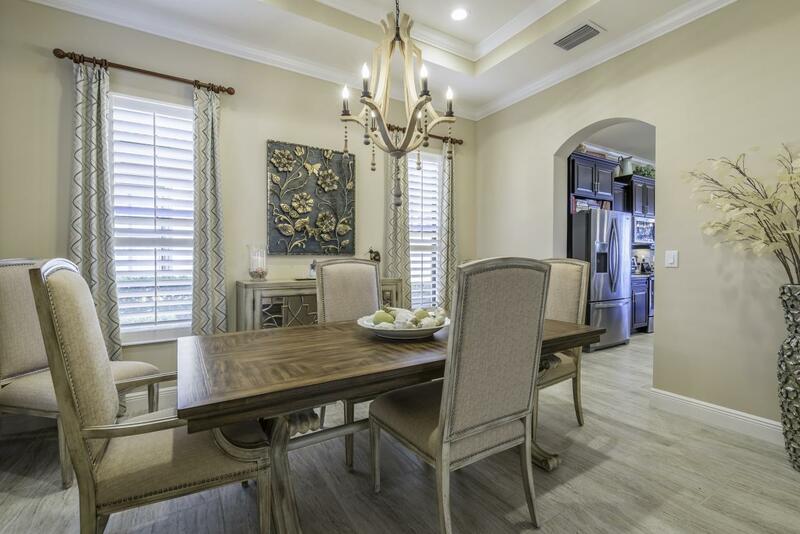 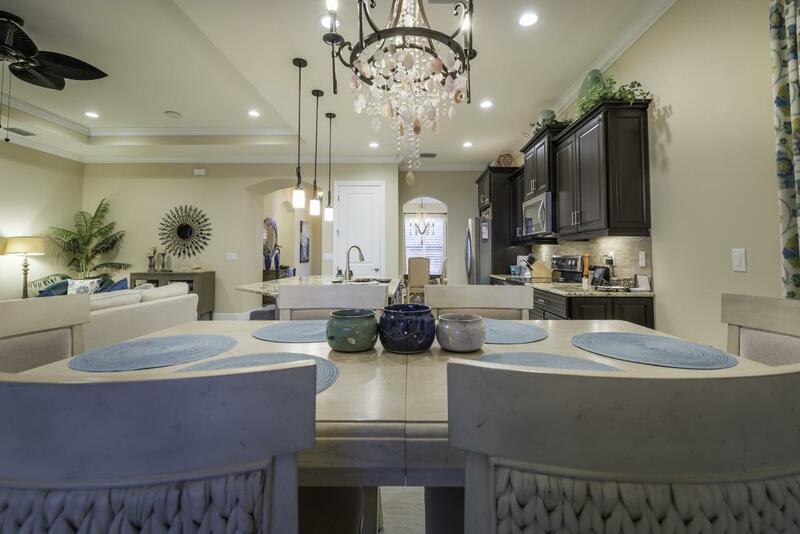 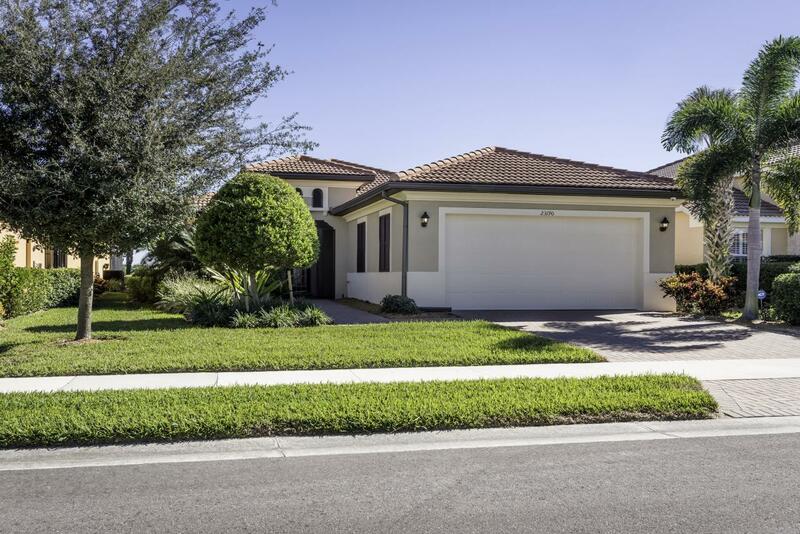 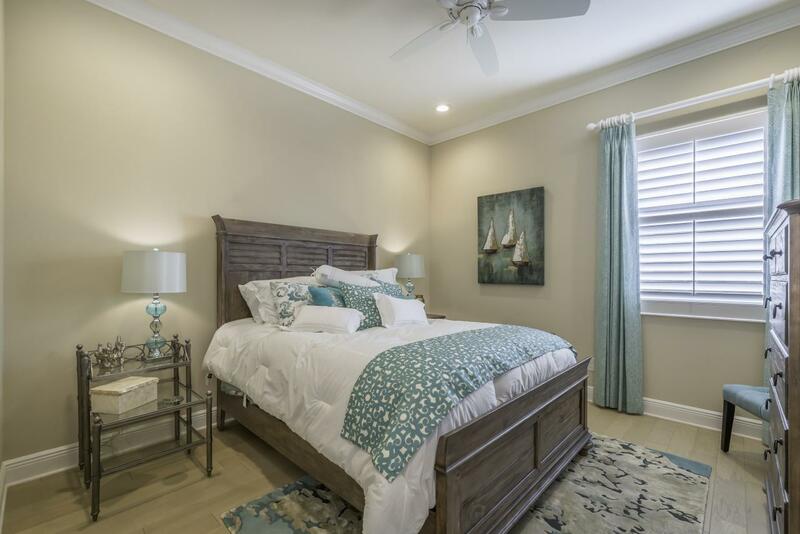 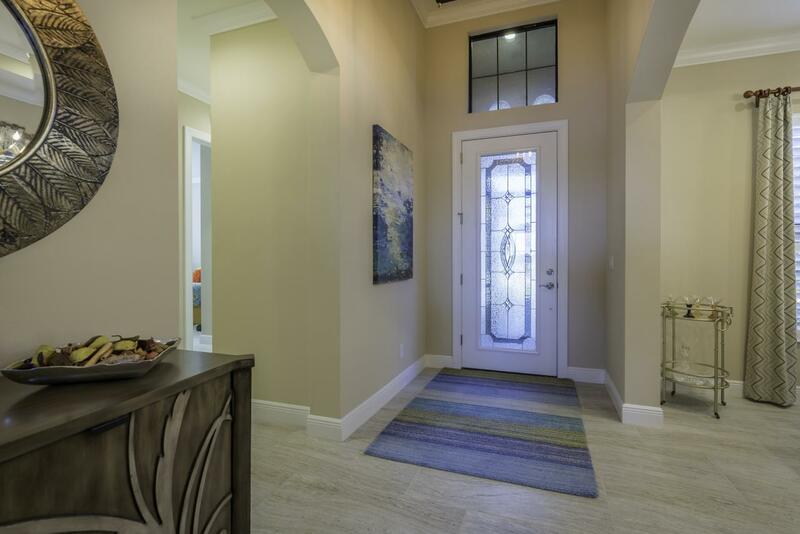 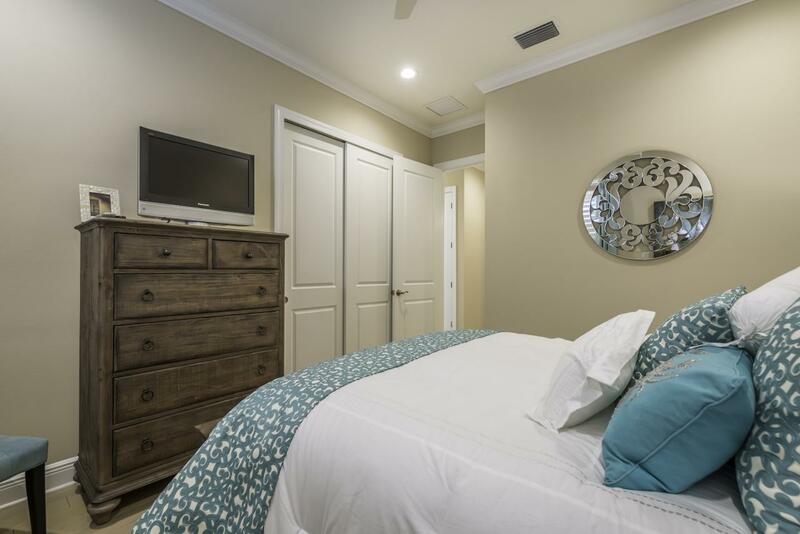 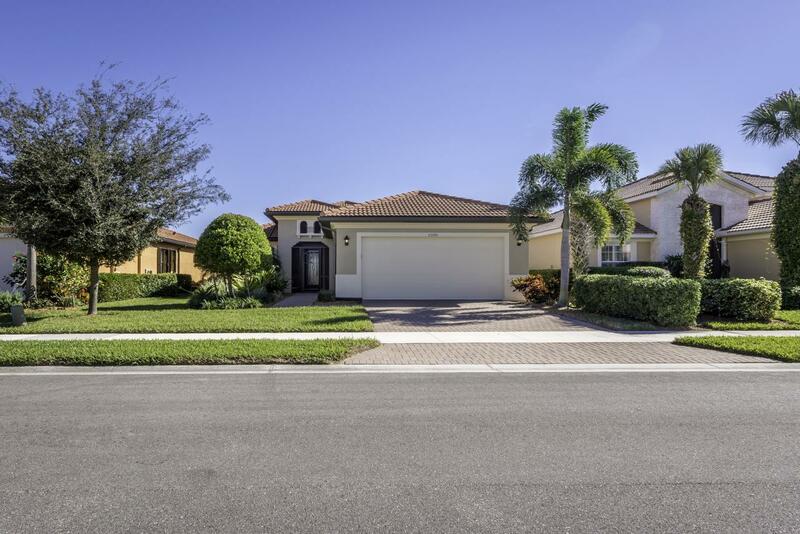 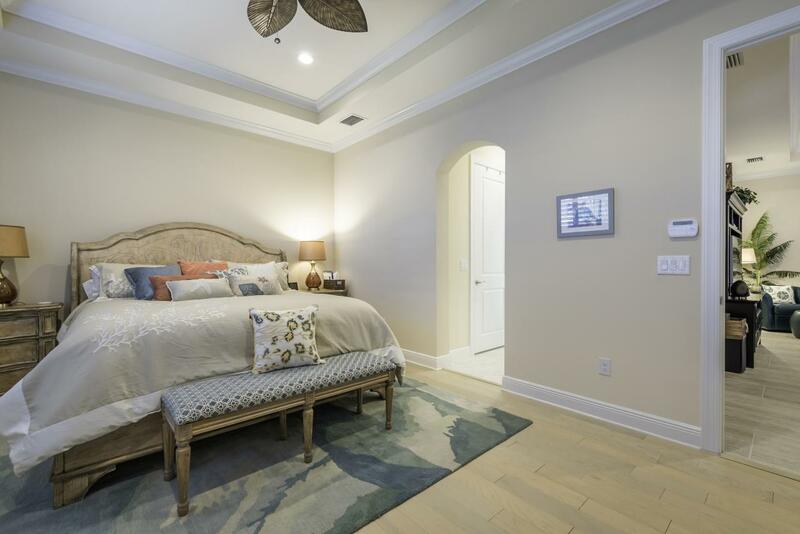 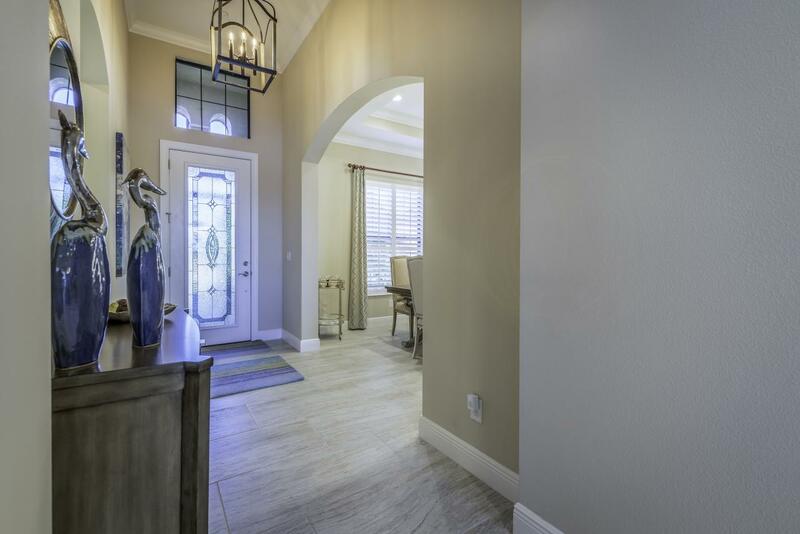 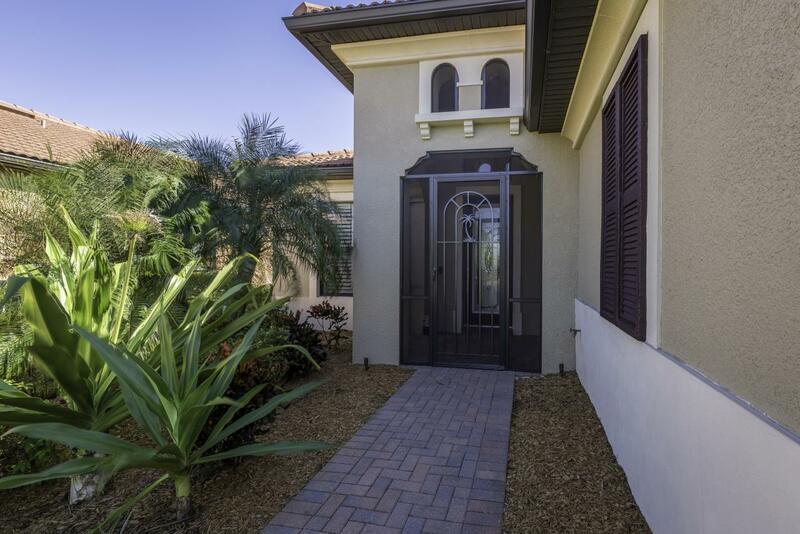 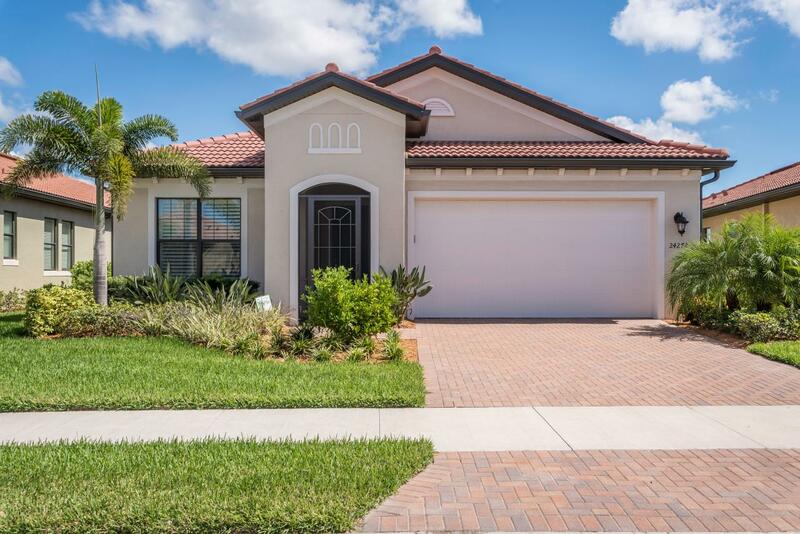 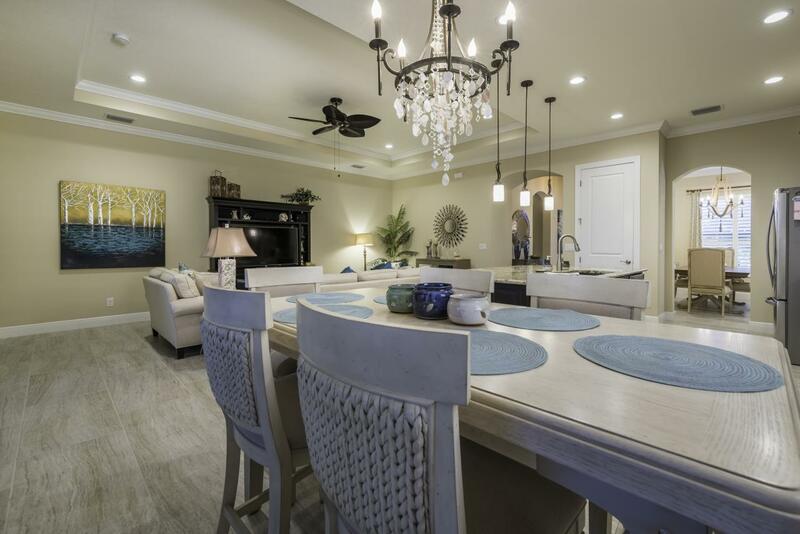 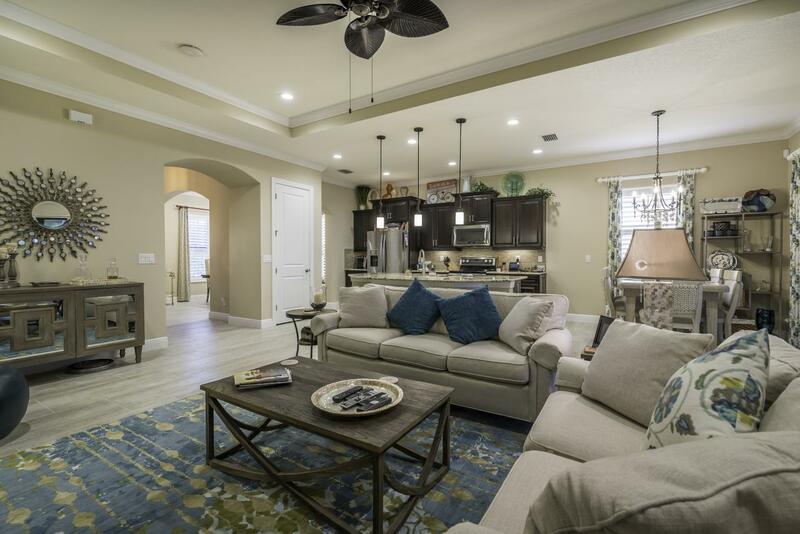 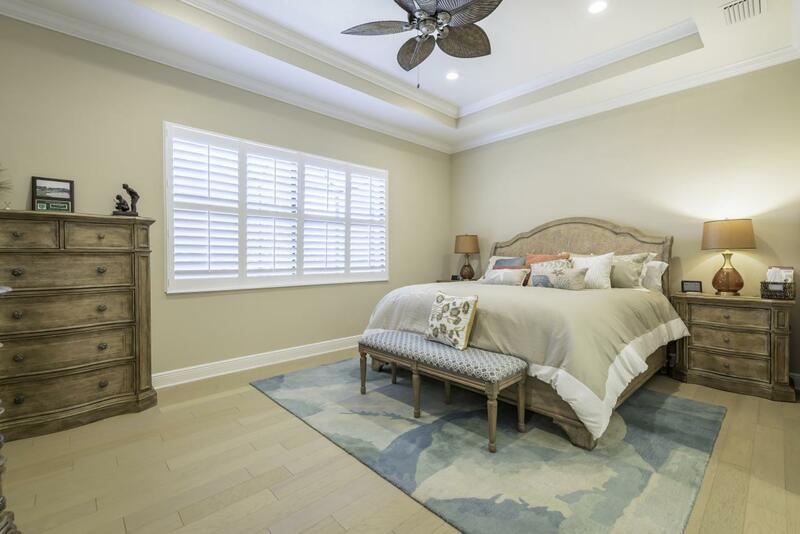 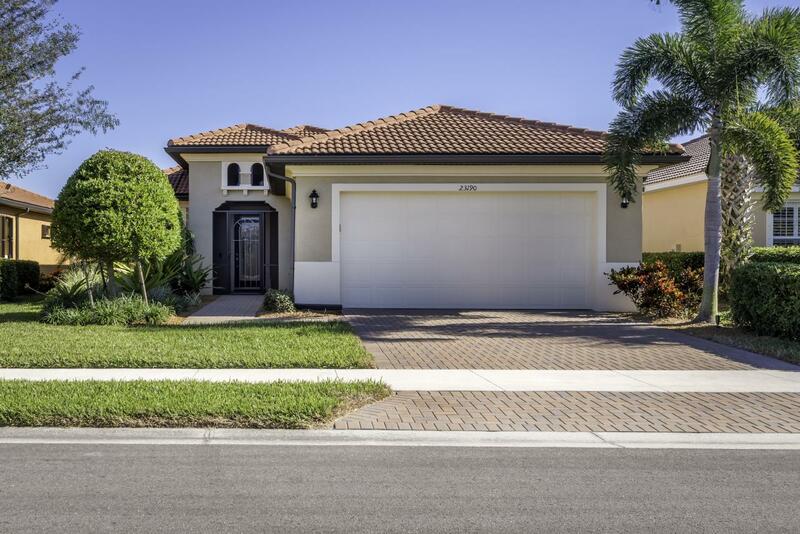 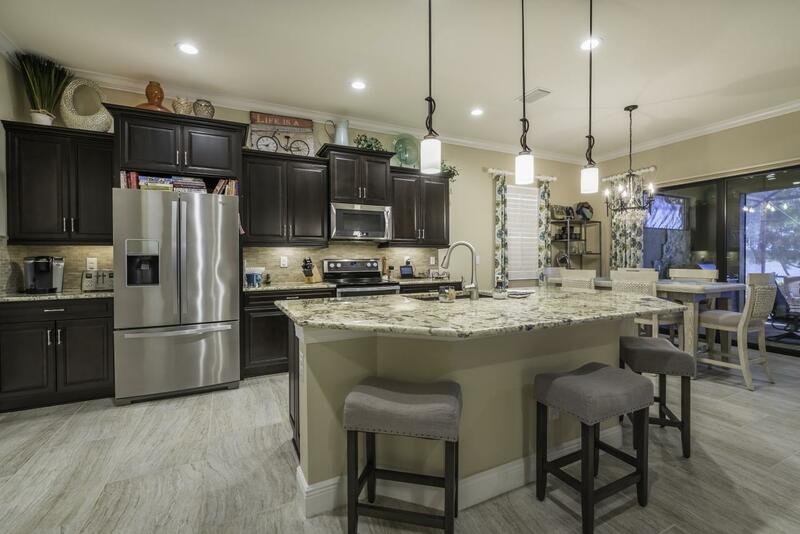 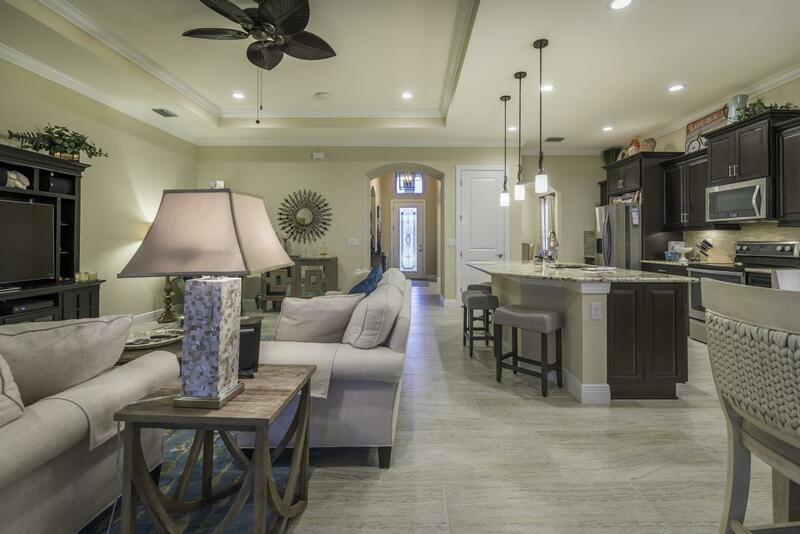 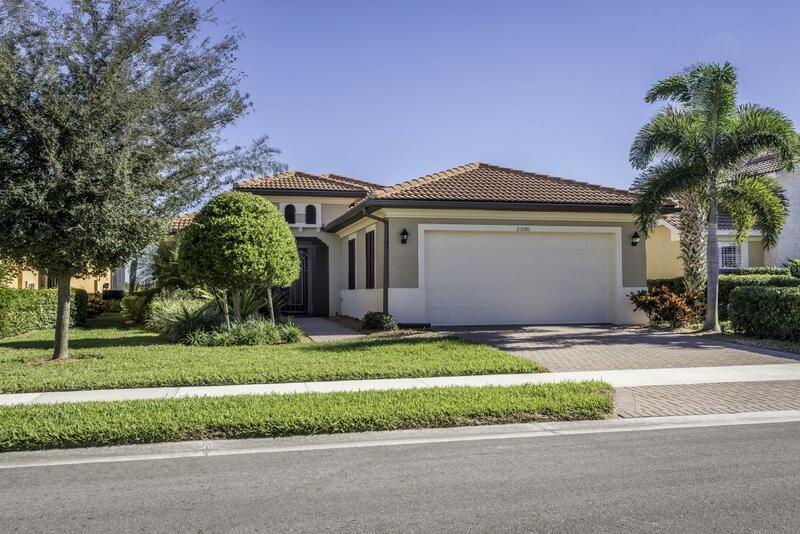 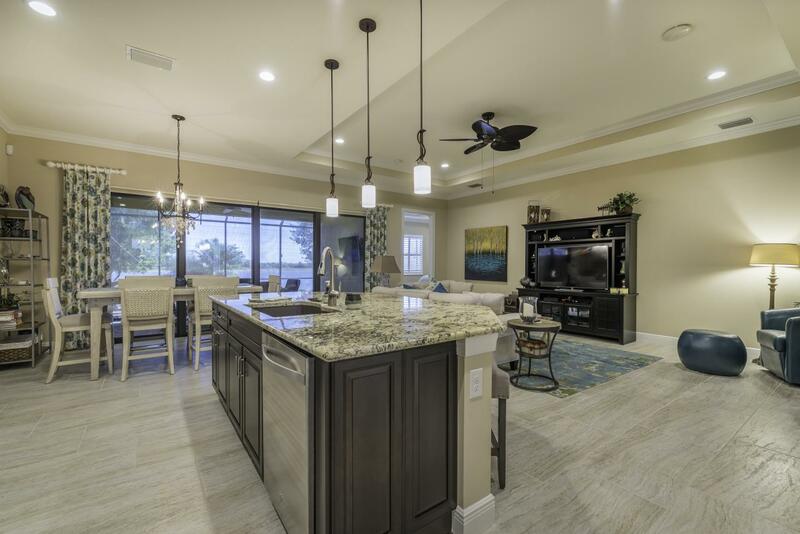 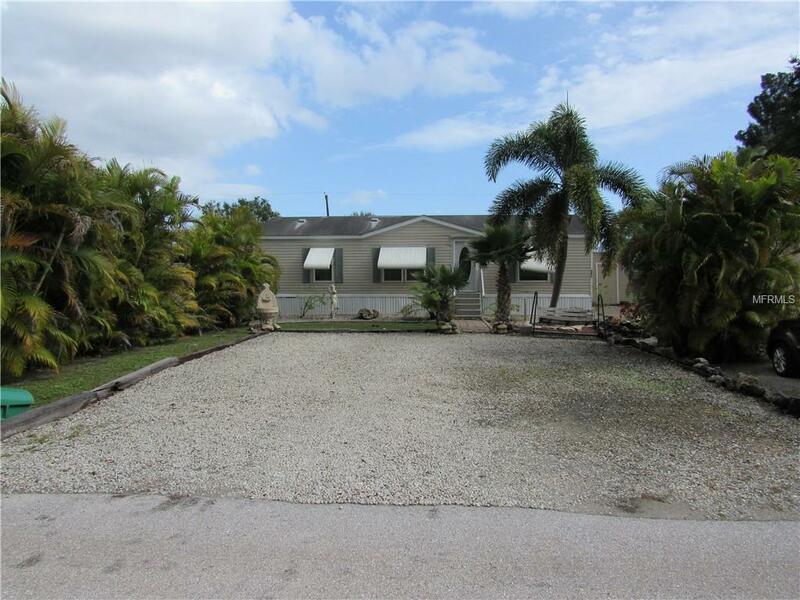 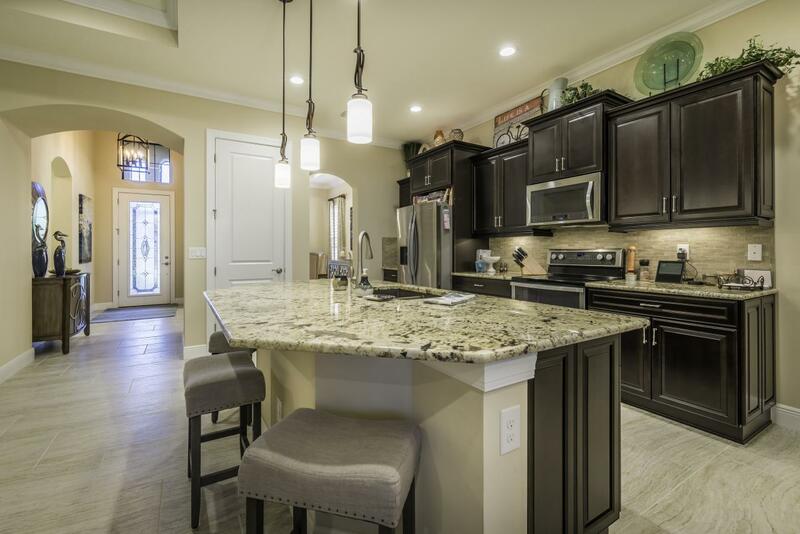 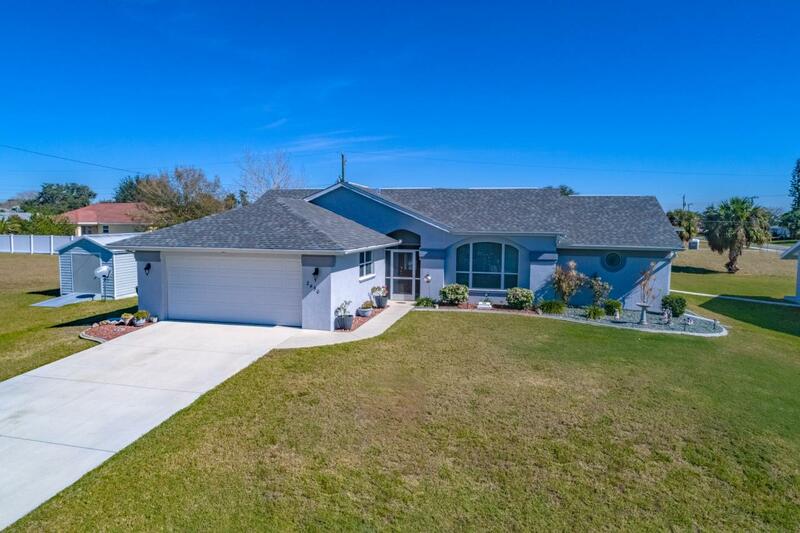 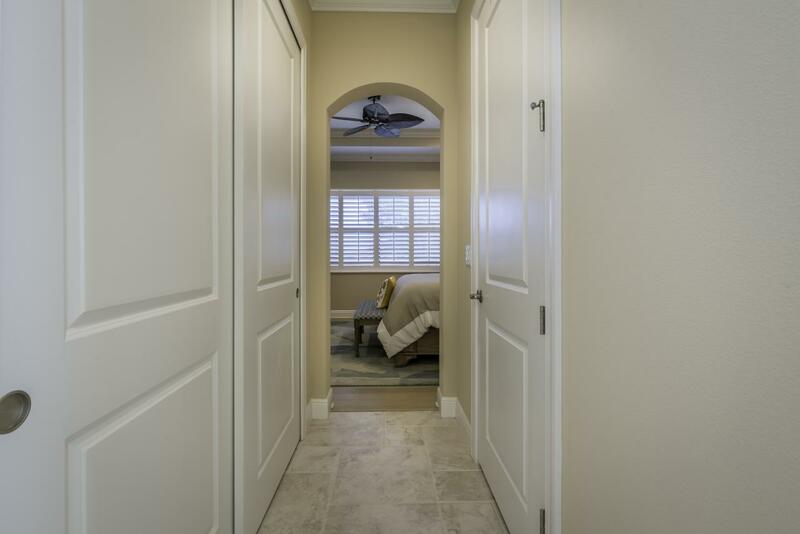 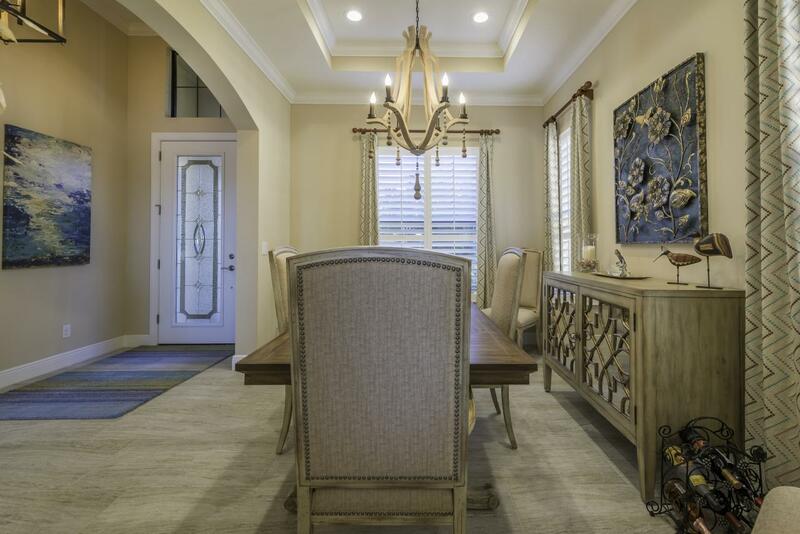 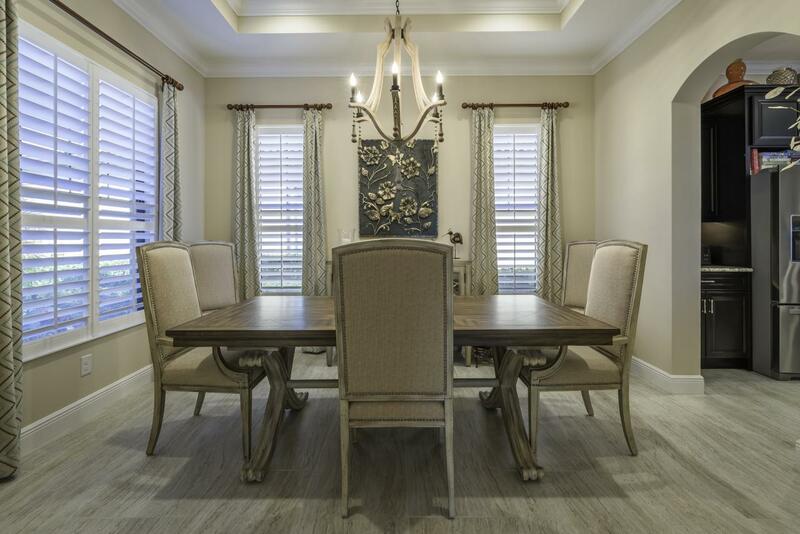 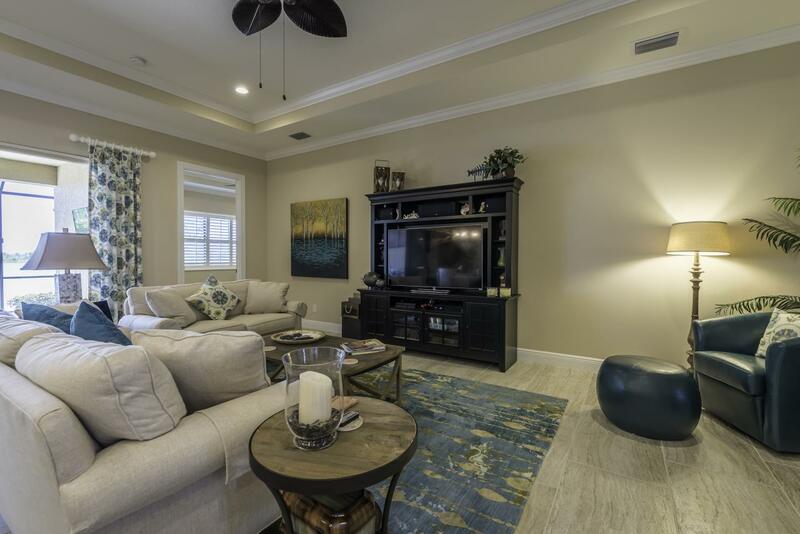 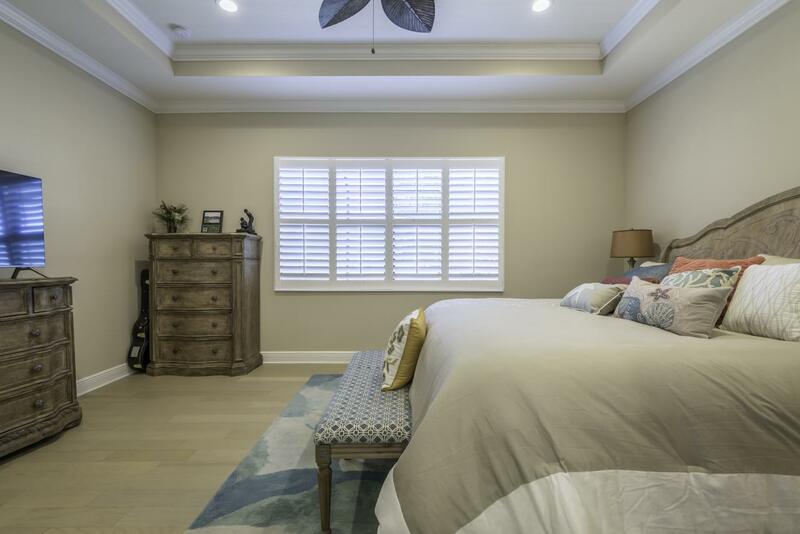 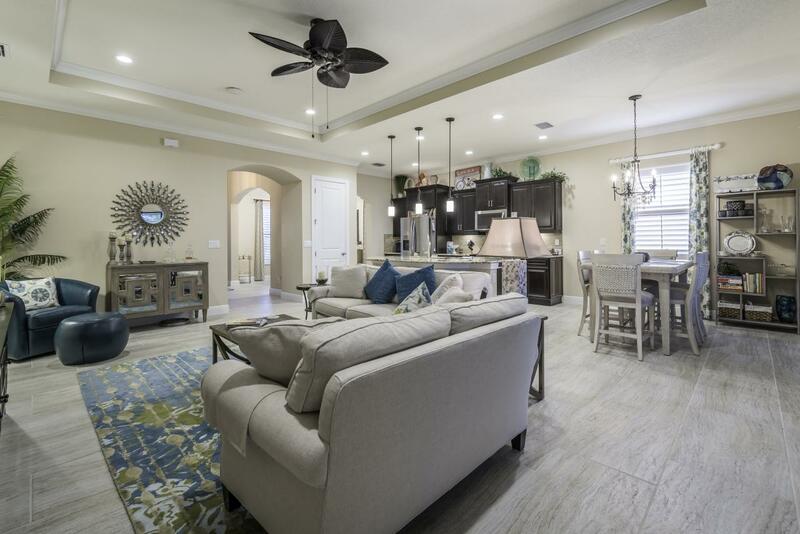 You'll really appreciate all of the upgrades in this beautiful home like hurricane impact windows, plantation shutters, crown molding, recessed LED lighting, whole-house wifi, and a garage with a/c and heat. 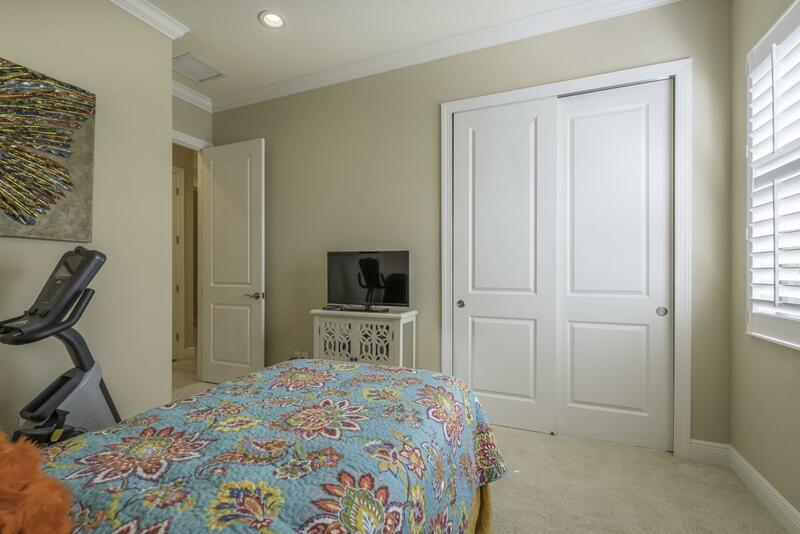 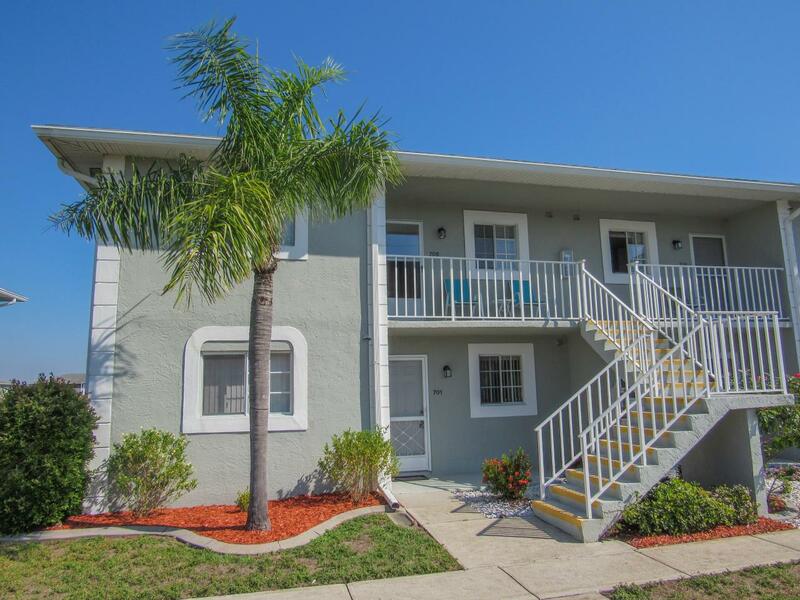 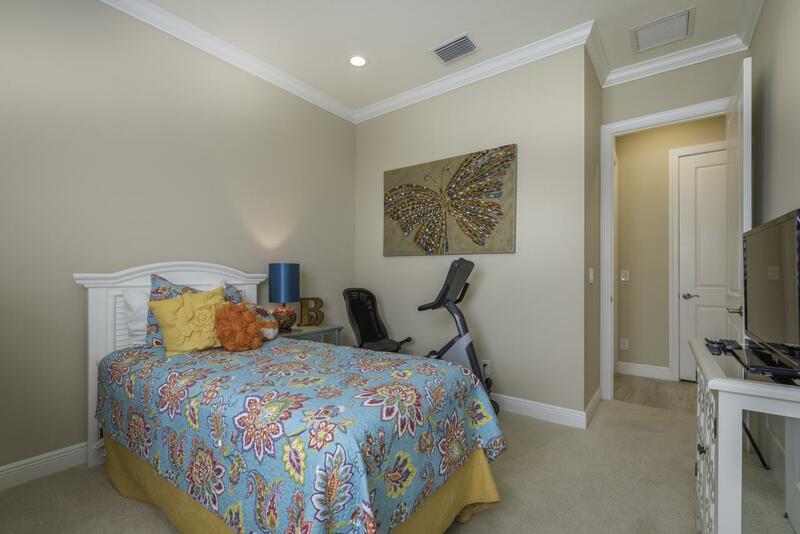 The community has a resort style pool, golf, tennis, dog park, playground, and more.